The current batteries are A Battery (The Chestnut Troop), B, E, L (Nery) and O Battery (The Rocket Troop) . 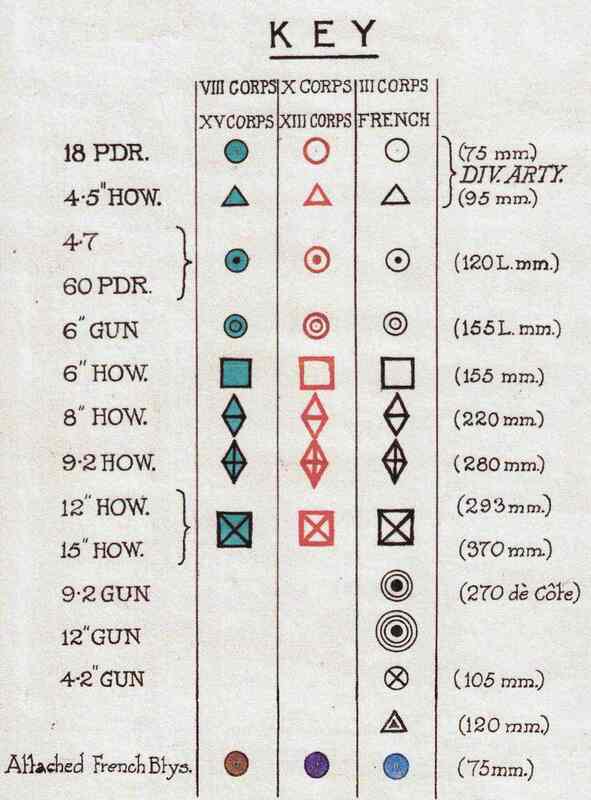 Their 1914 home stations and wartime deployment are summarised in the following table. E Newbridge, UK 1 Cav Div then 3 Bde RHA – 2 Cav Div. 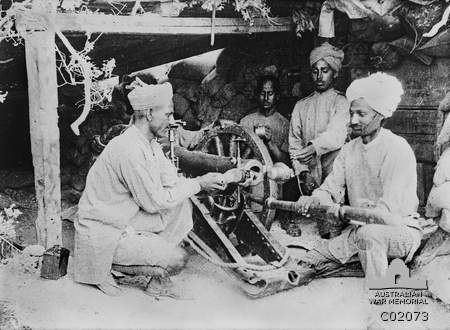 Each Battery was commanded by a Major with a battery captain, and three subaltern section commanders. 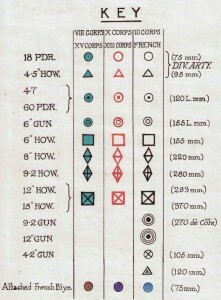 Two Subsections formed a Section and in a six gun battery these would be designated as Left, Centre and Right Sections. 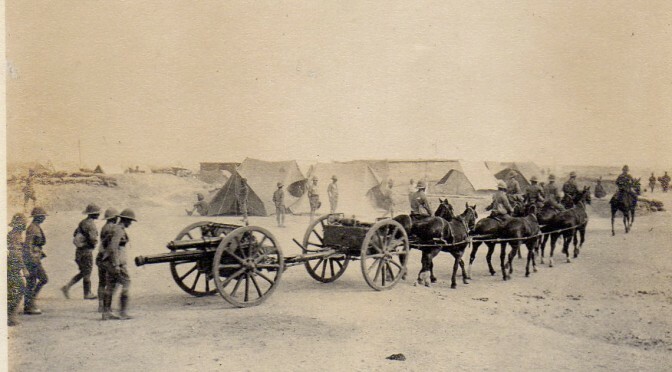 A Subsection consisted of a single gun and limber drawn by six horses (with three drivers), eight gunners (riding on the limber or mounted on their own horses), and an ammunition wagon also drawn by six horses (with three drivers). 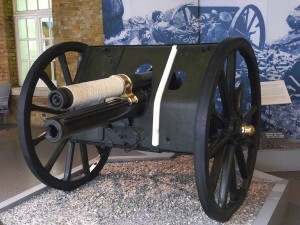 RHA batteries were armed with the 13 Pdr Gun. 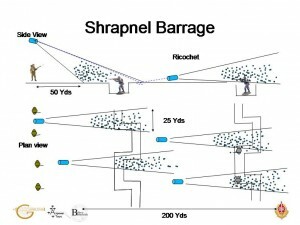 The 13 Pdr fired a 13 lb shrapnel shell to a range of 5,900 yd (5,400 m). 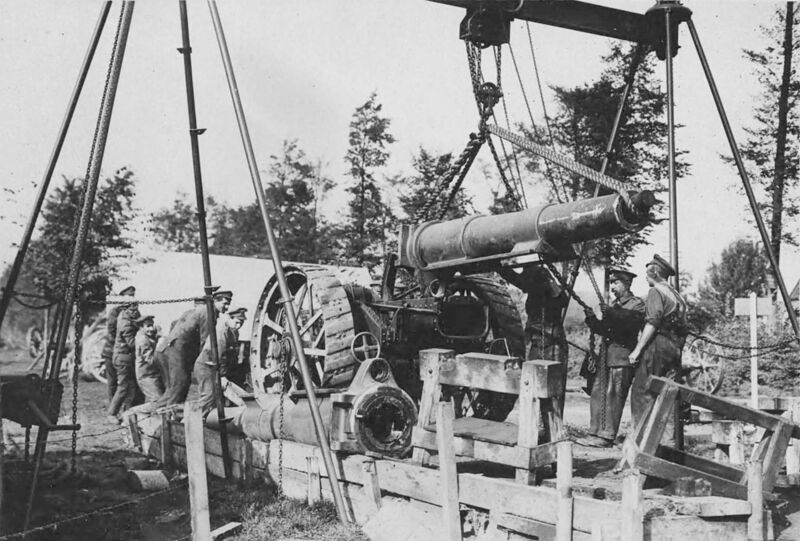 The 18 Pdr, which equipped the Field Artillery fired a projectile weighing nearly 50% heavier and for which an HE shell was in service by October 1914. 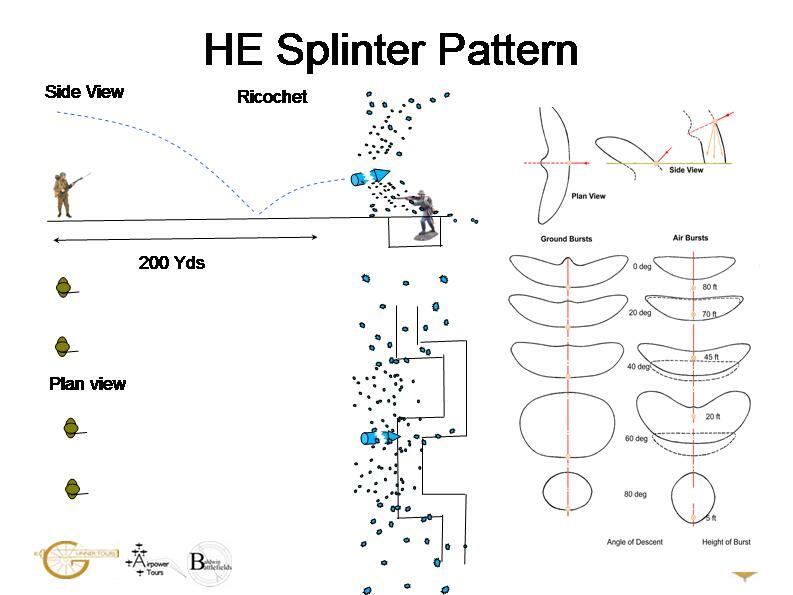 It also out-ranged the 13 Pdr and had a range of 6,525 yd (5,966 m) and 7,800 yd (7,100m) with the trail dug in. 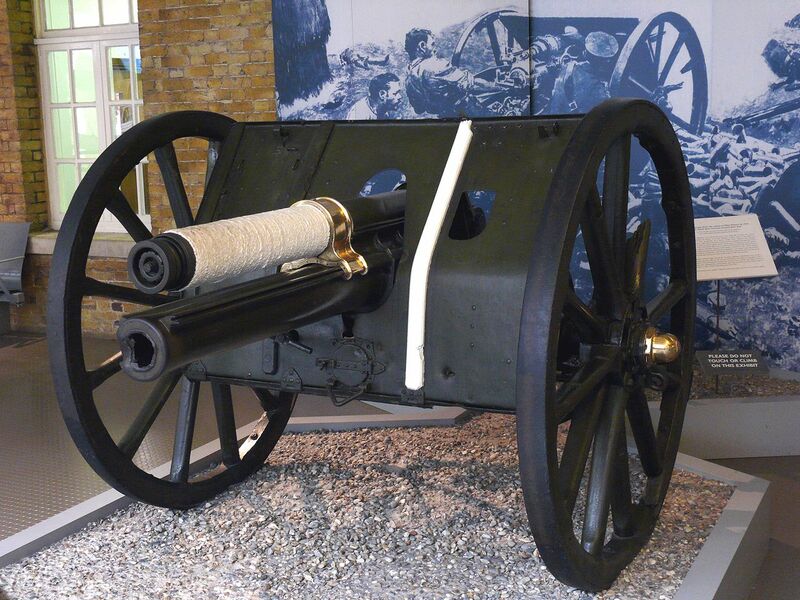 During the course of the war all but E Battery were re-equipped with 18 Pdr. 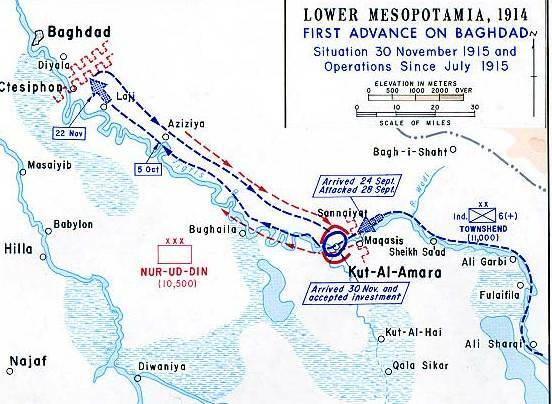 The introduction of the dial sight had made it possible to operate in an indirect role. 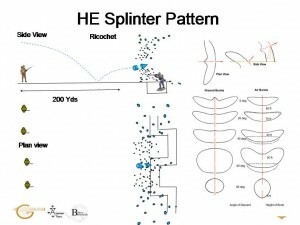 However the flat trajectory of the 13 Pdr and the limited signal equipment tended to restrict indirect fire to situations where the battery commander could position the guns behind cover and act as the observer from a position where he could see the guns and the target. 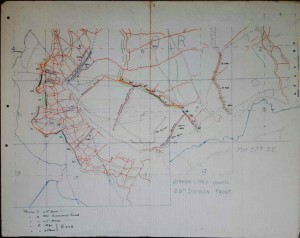 There were no established forward observer parties, but as trench warfare developed and telephones and wire became more widely available, an observation post might be deployed at some distance from the battery or a liaison team sent to the infantry. 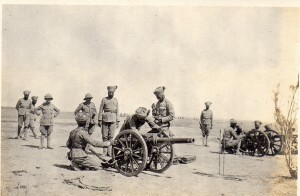 Although indirect fire techniques were known and practised, the RHA went to war with equipment better suited to operating in the direct role. 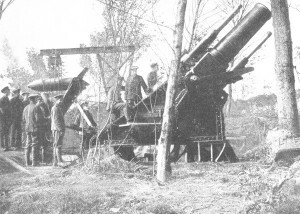 The 13 Pdr had a flat trajectory and it would be difficult to find good indirect gun positions in broken country such as the industrial landscape of Mons. 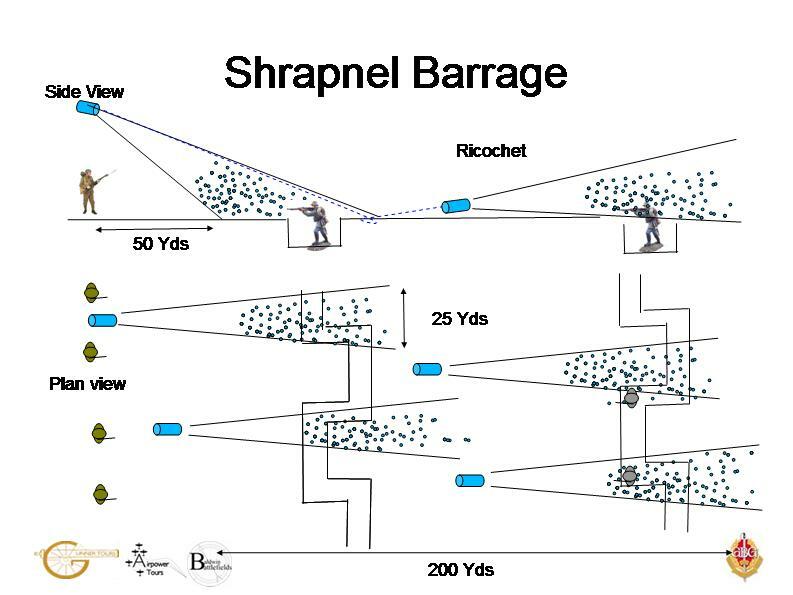 The only ammunition provided for the 13 Pdr was shrapnel, which is very effective against troops in the open, but almost useless against troops behind cover. 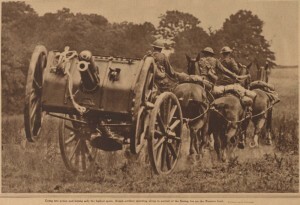 The part the Horse Artillery played in the opening months was not far removed from pre war expectations. 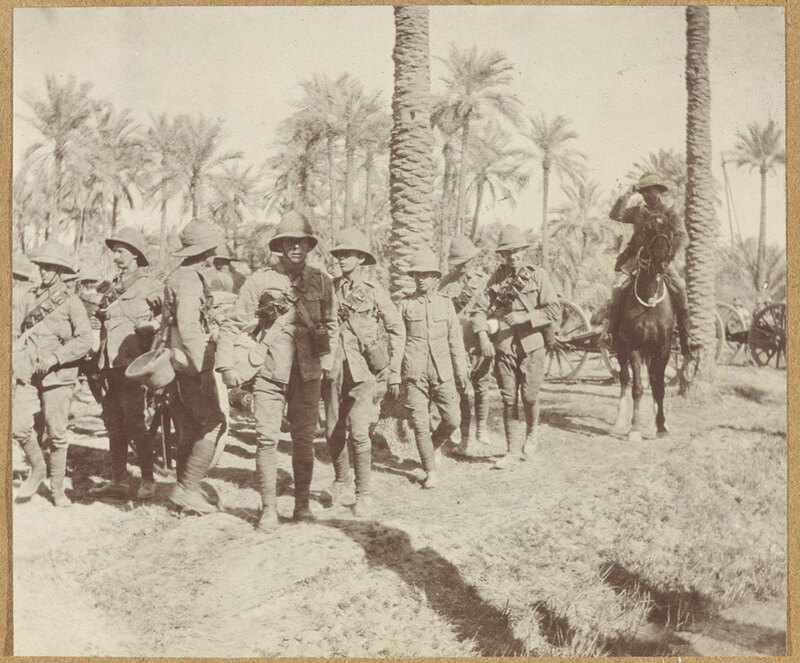 British Cavalrymen were equipped with the same SMLE rifle as the infantry and marksmanship training, which gave them an edge of the carbine equipped Germans in dismounted action. 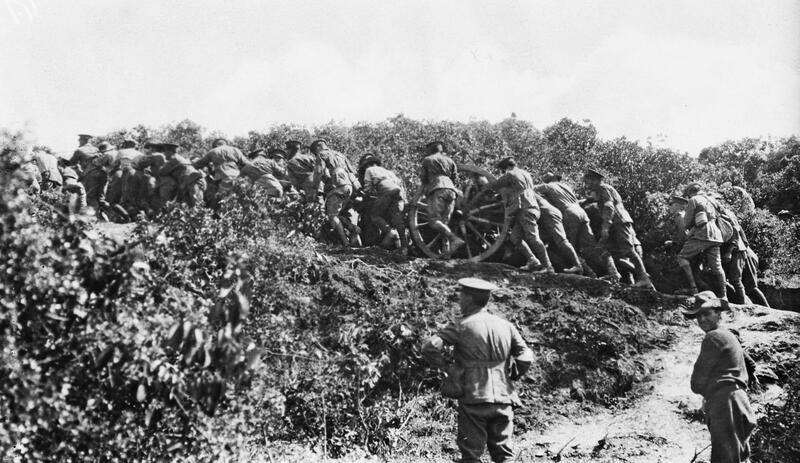 However, it was the battery of 13 Pounders supporting each brigade which contained the major part of its fire power, and guns which would inflict the majority of casualties in the Fist World War.. The Commonwealth War Graves Commission (CWGC) records 233 men as serving in one of the batteries. (2) Given WW1 norms of two wounded for each dead, this would imply around 700 casualties during the war. The establishment of a 1914 RHA Battery was five officers and 200 other ranks, giving 1,025 for the five current batteries. This gives a conservative estimate of a fatality rate of just under 23% of the establishment across all batteries. The casualties were not evenly distributed. L Battery’s 78 fatalities implies a figure of killed and wounded well in excess of the battery establishment of 205. 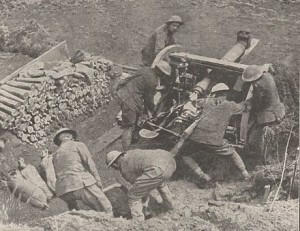 Nor was 1914 the year in which L Battery suffered its highest casualties. 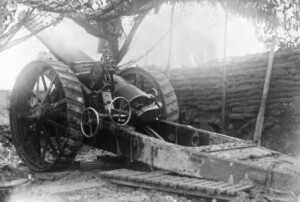 Even before Néry, the fortunes of war placed L Battery in a position to play a significant role in the battles of Elouges on the 24th and Le Cateau on the 26th. 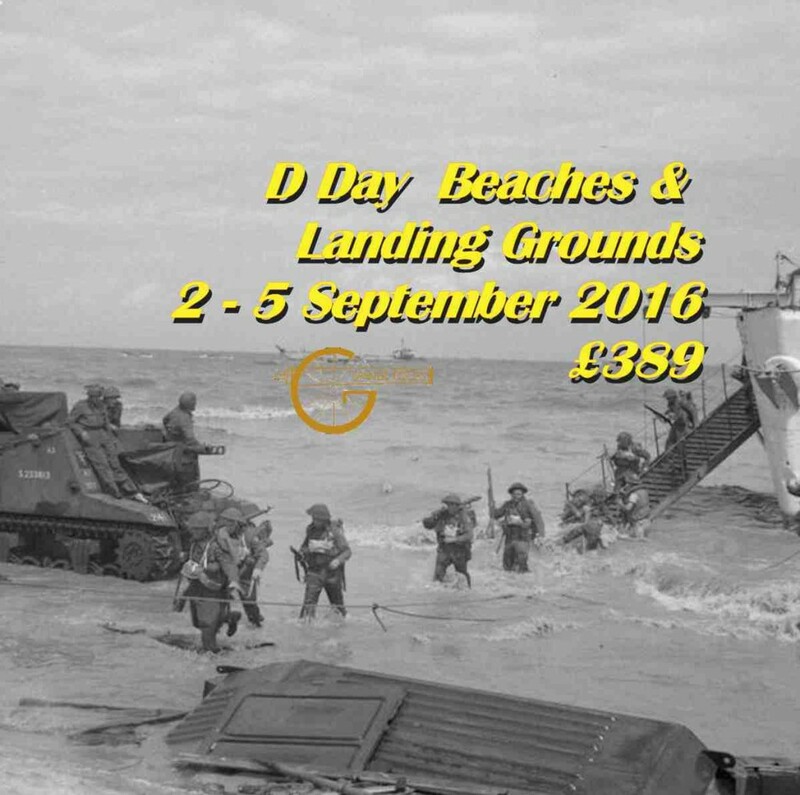 On each occasion they brought down fire on German troops attempting to outflank the army. 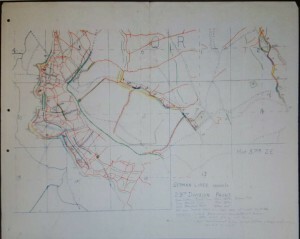 Even without Néry curtailing their participation in the campaign, L Battery were one of the most actively engaged RHA Batteries. 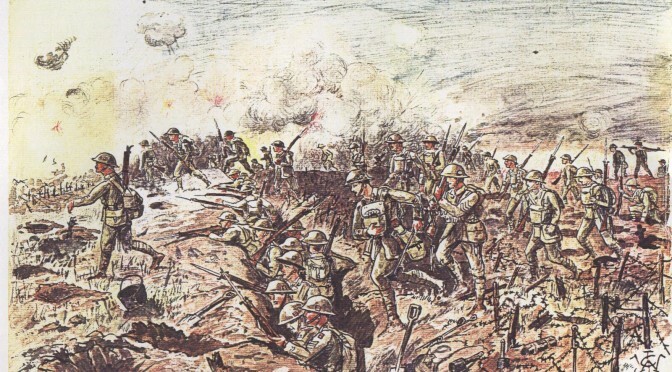 The fighting in the early months of the First World War was very different to other campaigns on the Western Front, or even other campaigns of the war. The pattern of warfare was closer in some ways to that of the previous century. 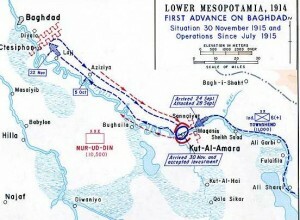 The battles were of short duration with one side disengaging. 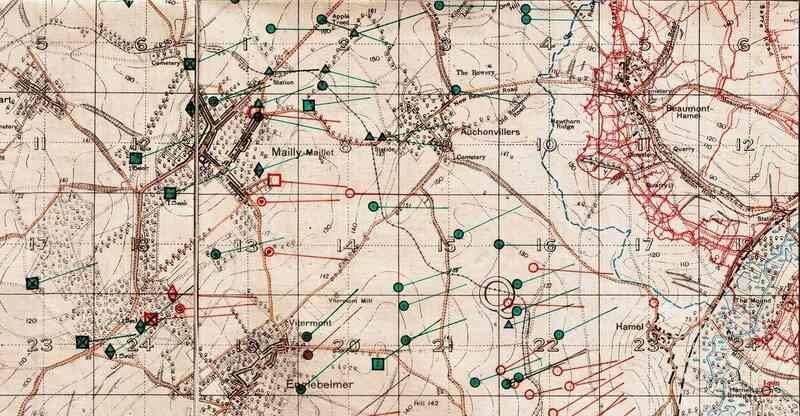 Mons, Le Cateau, Elouges and Néry can be identified by a single day. At Le Cateau the British Army even deployed anachronistically on an open plain with the guns drawn up in the front line as if it were 1815. It was not until the battle of the Aisne that both sides became aware of the power that C20th weapons gave to the defence. 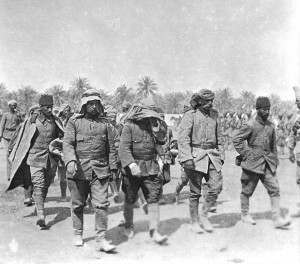 After the trench lines developed between September and November 1914 the character of the war changed to become one continuous engagement. There would be no more individual battle days as bloody as Nery, but a trickle of casualties throughout the four years of the war, with some days bloodier than others. 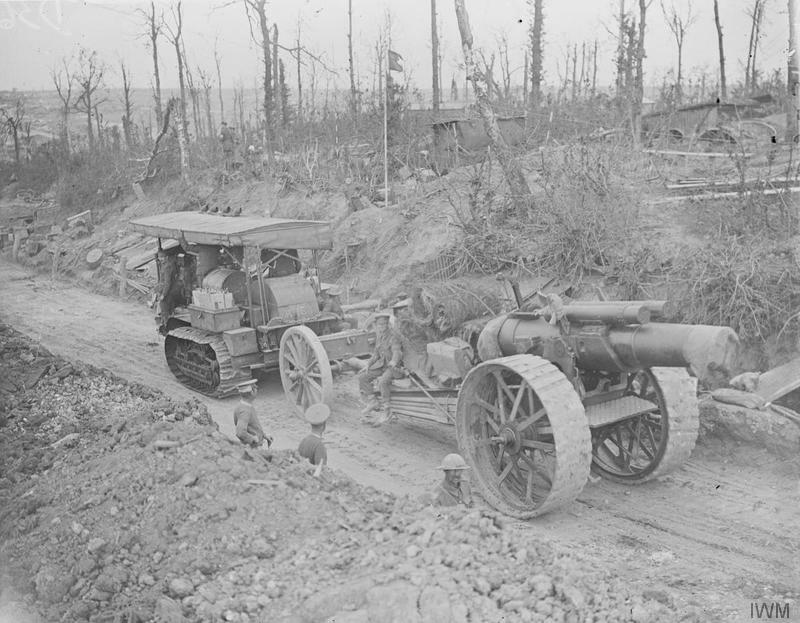 In November 1914 O Battery arrived on the Western Front as part of the Vth Brigade RHA in the 8th Infantry Division’s artillery. . In 1915 The Chestnut Troop joined them on the Western Front as part of I Indian Brigade, Royal Horse Artillery. They both took part in the battles in the Neuve Chapelle area 1914-15. The rebuilt L Battery joined B battery in the XVth RHA Brigade as part of the divisional artillery of the 29th Division in 1915. 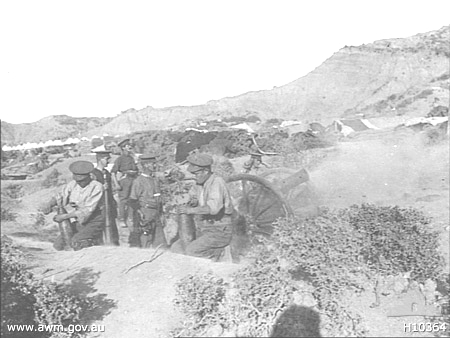 This division was formed from regular army garrisons around the world and first deployed in the Gallipoli campaign. It would become known as the “Indomitable” 29th and would take part in more attacks than any other formation. 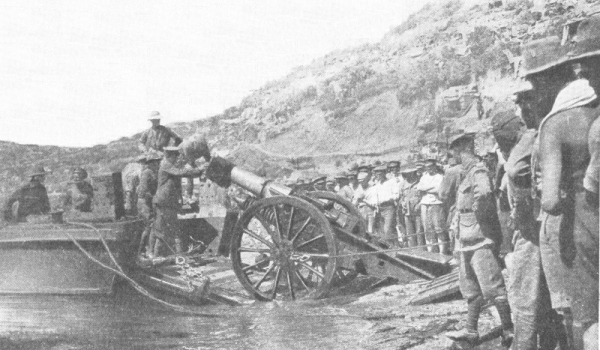 There is no specific monument in Gallipoli for the artillery of the 29th Division. 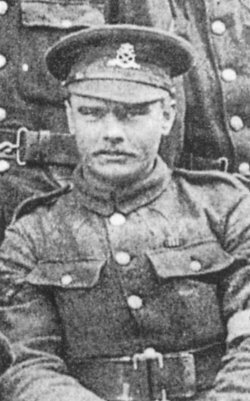 However, one of the first fatalities suffered by the reconstituted L battery was Bombardier Darbyshire, who only relinquished the layers seat of F Sub at Néry after his ears and nose bled from concussion. He was killed on 12th July 1915 and is buried in Lancashire Landing Cemetery at Cape Helles, along with nine other horse gunners from B and L Battery. A further seventeen are buried or commemorated elsewhere in Turkey, Egypt and Malta. 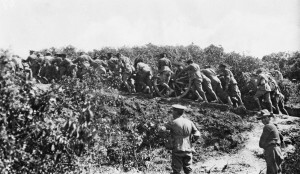 After the evacuation from Gallipoli the 29th Division was brought back to the Western front, in time for the big push on the Somme. The Divisional symbol of the red triangle can be seen at Newfoundland Park, and tin triangles can be seen on the packs of the soldiers from the divisions filmed on the First Day of the Somme. At 07.30 on the 1st July the 2nd Royal Fusiliers and 16th Battalion the Middlesex Regiment stormed the crater formed by the detonation of the Hawthorn mine. 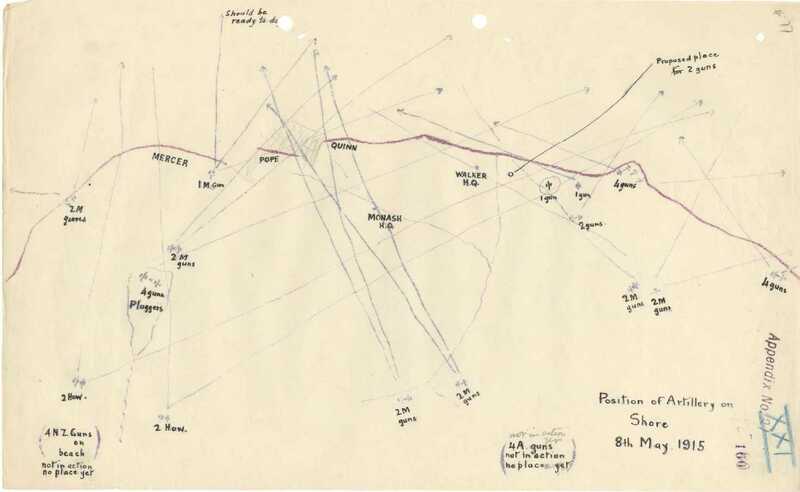 2 Lt Grant-Suttie and a party of telephonists from B Battery advanced with the CO of 16th Middlesex into the mine crater, but were forced to withdraw, with Bdr Port wounded, and Bdr Brockett and Driver Indge missing. Brockett’s body was found and he lies in Hawthorn Ridge Cemetery No.1, Auchonvillers. Indge’s was never identified but might be one of the 68 unidentified graves in this cemetery. He is commemorated on the Thiepval Memorial to the Missing. 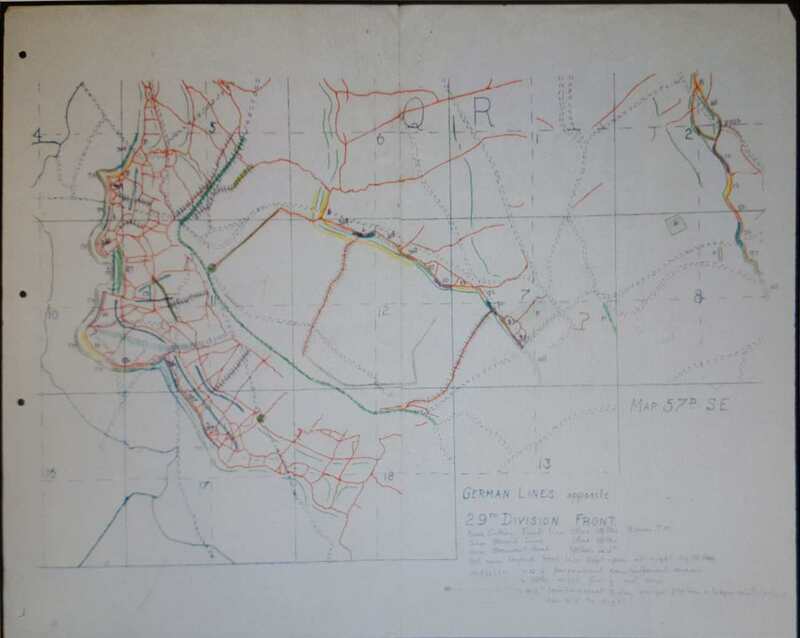 O battery also took part in the battle of the Somme supporting the operations of the 8th Division on its disastrous first day, and in October in the battle of Le Transloy. Three O battery soldiers are buried on the Somme. The lower number of fatalities in 1916 than in 1917 and 1918 might be attributed to the weakness of the German counter battery artillery in the Somme. 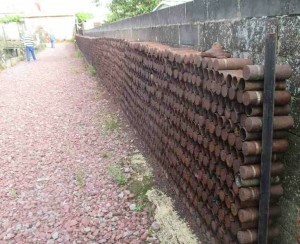 Nor were any of the batteries placed in situations were they were exposed to small arms or direct fire. 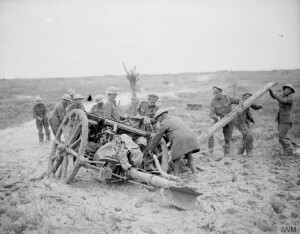 There were very few occasions in 1916 where sufficient ground had been gained to justify moving the guns forward. No German counter attacks threatened the guns. 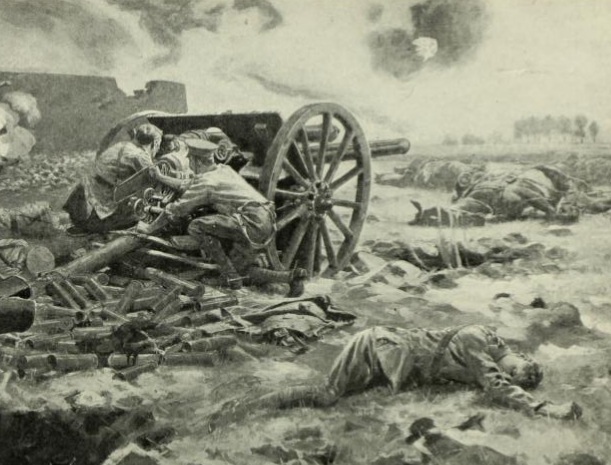 1917 was the bloodiest year for the 1st RHA Batteries, and can be attributed to the three major British offensives in that year. 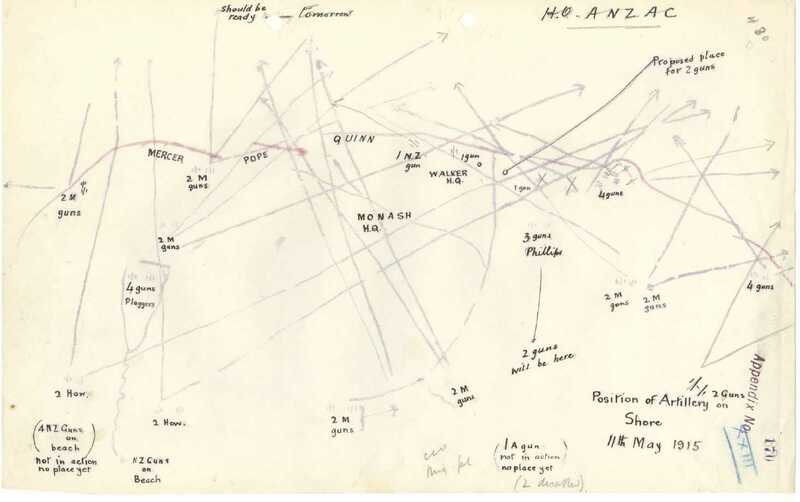 The 29th Division (B & L ) and V Brigade RHA (O Bty) took part in all three offensives. E Battery in two and Chestnut Troop in one. 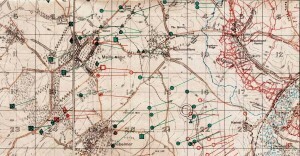 The five week long Arras offensive 9 April – 16th May 1917 was one of the most intense the BEF endured. 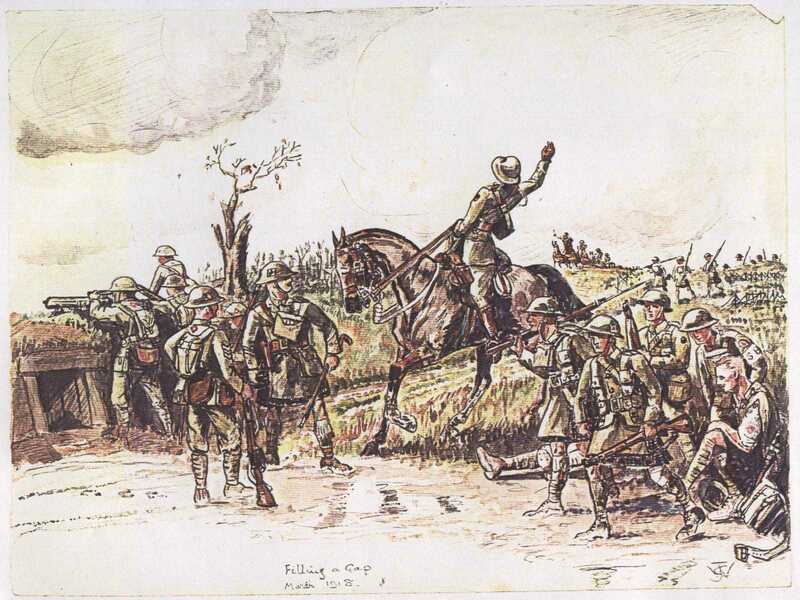 The daily casualty rate over the course of the battle was higher than any other BEF offensive. 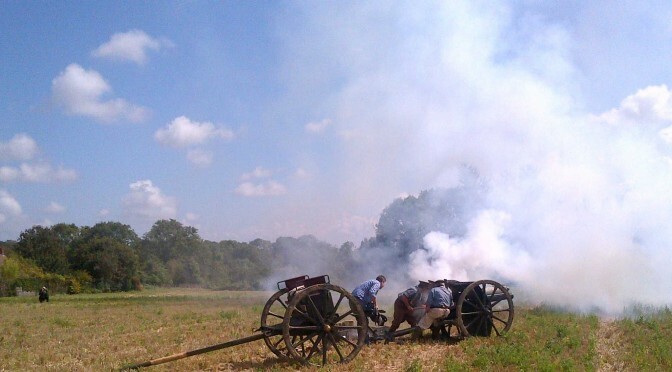 The initial attack was very successful, largely due to improvements in artillery technology and tactics,. 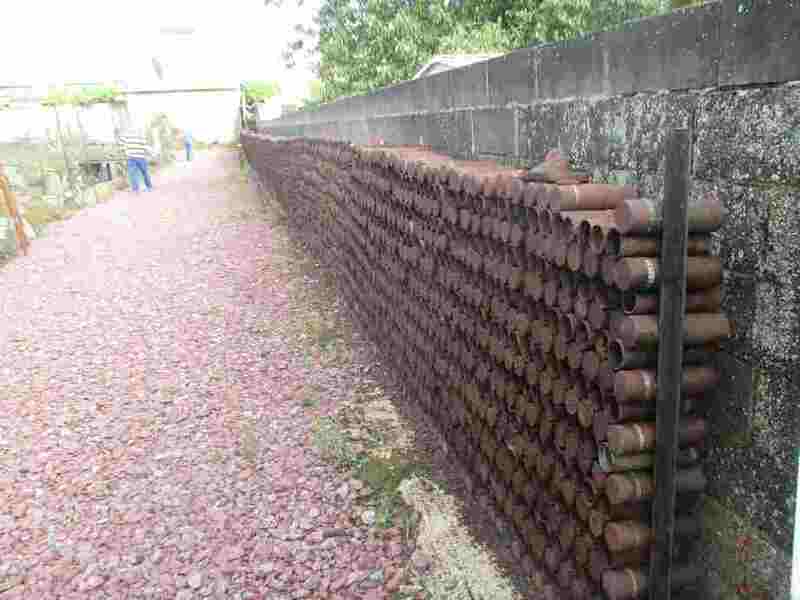 German batteries were located by sound ranging and flash spotting, improved fuses increased lethality and enabled wire to be cut more easily. 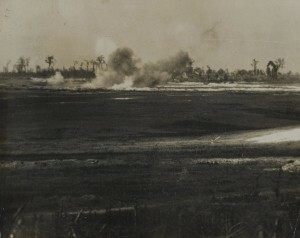 Aerial observation techniques and creeping barrages made it easier for the infantry to assault. 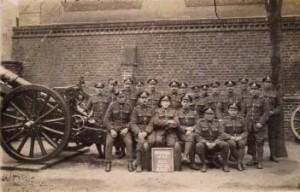 In 1917 O Battery’s Vth RHA Brigade became an army artillery brigade and used to support whatever part of the line needed additional artillery support. 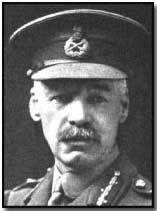 On 9th April they supported the attack on Vimy Ridge by the Canadian Corps. When attacks were successful artillery would need to be redeployed forwards if the infantry were not to advance beyond artillery range. 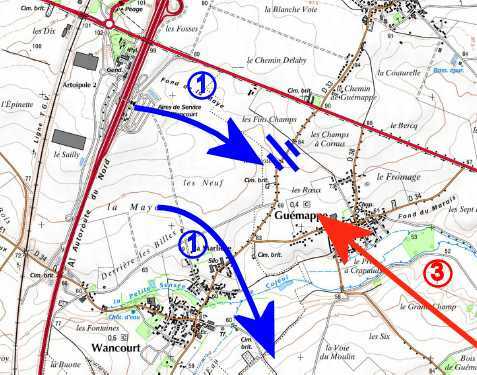 On 24 April B and L Batteries followed up an infantry advance into a valley just North of the Wancourt Tower. As soon as the success signal was given the guns galloped forwards. According to the infantry the advance of the guns was a magnificent and inspiring sight, carried out with great dash and skill. 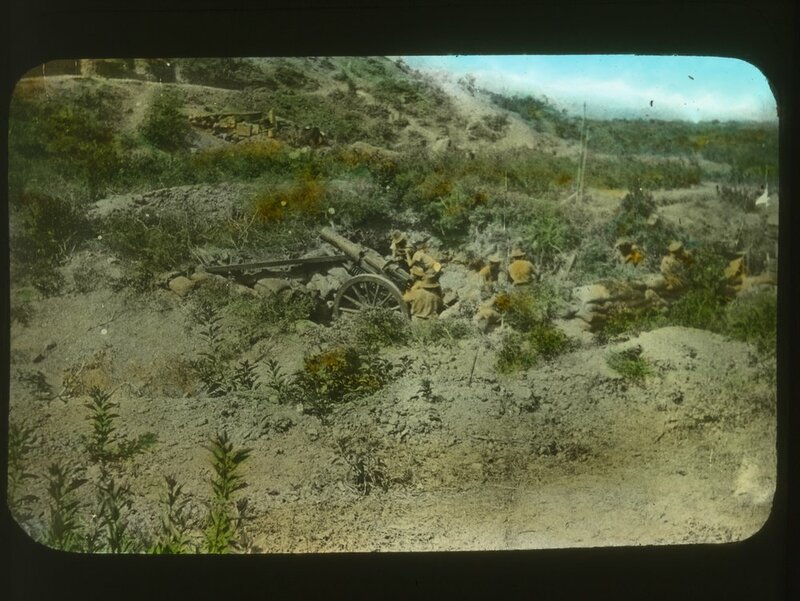 (3) Unfortunately a German counter attack drove the infantry off the ridge, leaving L and B Battery in the open within rifle and machine gun range of German troops. The operations on the Arras front between April and June 1917 cost the XVth Bde RHA 49 killed, (including the BC and another officer from B Battery and six other officers) 74 wounded (including officers from each of B and L officers) and a further 13 men evacuated with shell shock. There is a memorial outside Langemarck to Harry Patch, the last survivor of the Great War whose and his comrades, took part in the the attack Langemarck on 16 August 1917. 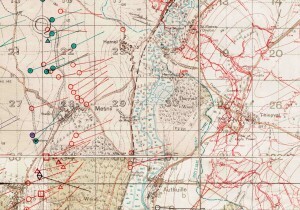 B and L Batteries supported fired on the fireplan Barrage map supporting the attack on . 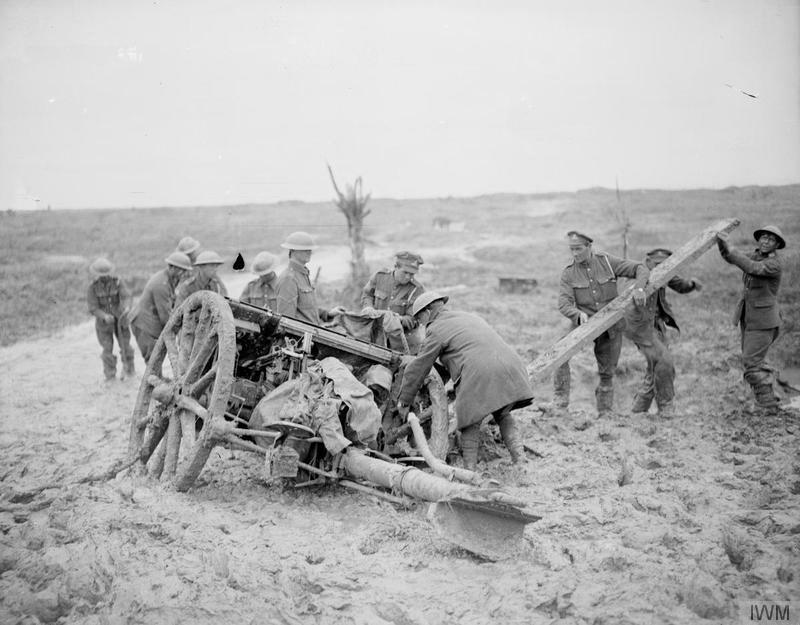 The 29th Division was used as an assault division twice in the 3rd Battle of Ypres, fought in a muddy artillery landscape. 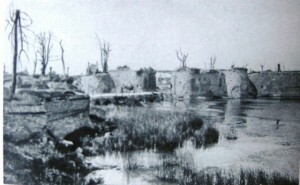 The artillery destroyed the drainage along with the buildings and vegetation. On 16th August the 29th division assaulted the Langemark area alongside the 20th Division which included the late Harry Patch and his pals. 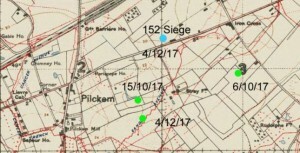 Seven weeks later 29 Division attacked again on 4th October towards Poelcappelle. The main memorial to this attack is the memorial to Private Fred Dancocks of the 4th Worcesters who was awarded the VC for his gallantry capturing a bunker near Namur crossing on the old Ypres-Staden railway line, which is now a footpath. The 3rd Battle of Ypres was an artillery battle. 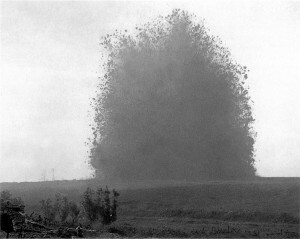 The Germans held the ring of low hills around Ypres. As the allies advanced it was hard to find solid ground for gun positions around the muddy shell holes. Solid platforms might be constructed from wood or even boxes of rations. These made it easier for the German counter battery fire. During the campaign B, L and O battery would have spent a lot of time in their gas masks. 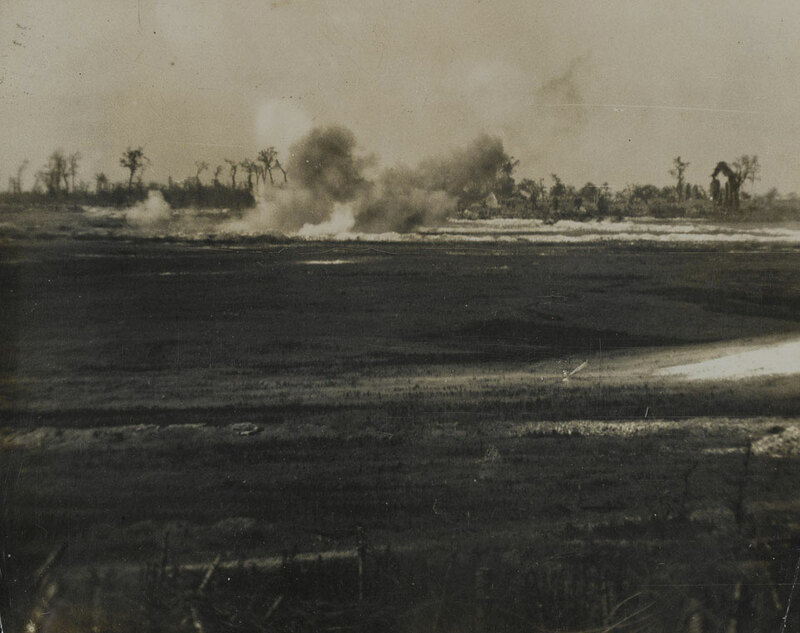 The Germans unleashed a new horror on the battlefield during this battle, drenching gun positions with persistent blister agent – Mustard Gas. 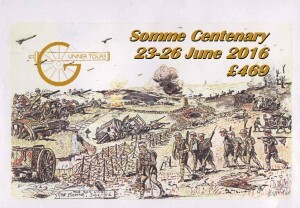 Cambrai would be a good battle for a 1st RHA commemoration. 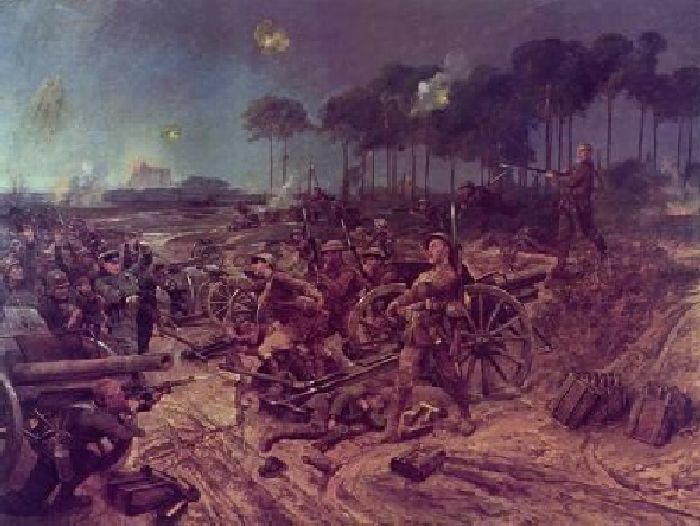 This the one battle in the war in which each battery served. It allows for a focus on the tactical and technical innovation which has characterised the professional ethos of the Royal Regiment. At the beginning of 1918, the Germans had a chance to win the First World War before the American Army took the field in strength. The Germans redeployed troops released from the Eastern Front by the collapse of Imperial Russia. After three years of allied attempts to break the stalemate of the Western Front, the German offensives from 21th March initiated a eight months of mobile warfare. 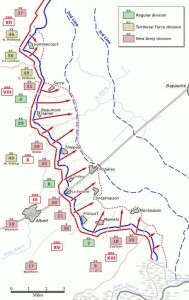 Between March and June the Germans achieved a series of breakthroughs and forced the allies back. These battles are rarely the subject of battlefield studies. 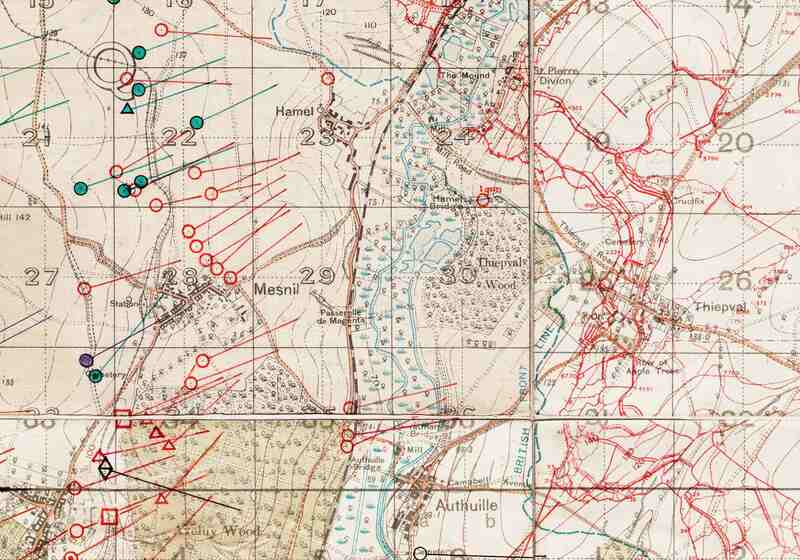 They are as significant as defensive battles as Mons or Le Cateau, but much larger. These are the only major defensive battles fought by the British Army that approach the scale of the operations on the Eastern Front in WW2. 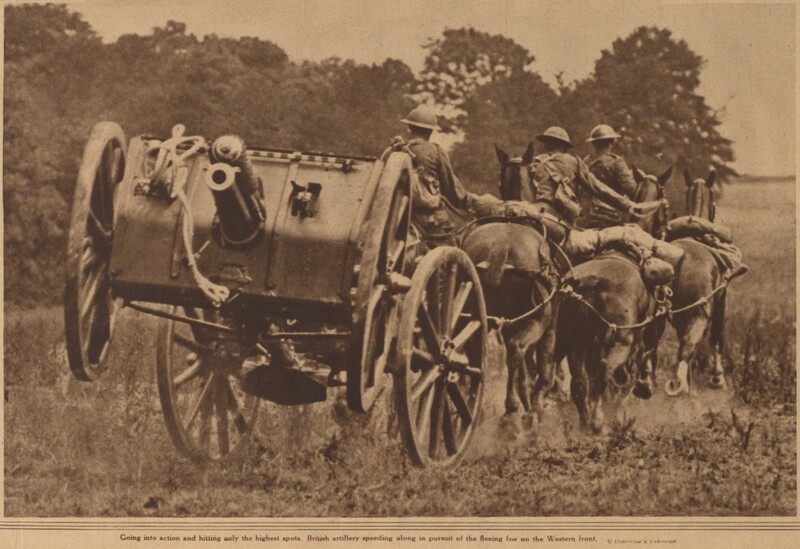 “British Artillery speeding along in pursuit of the fleeing foe.” Did the NY Tribune publish a picture of E Battery in October 1918? 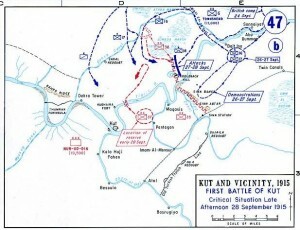 The tide turned in August with the dramatic breakthrough at Amiens which repeated the techniques demonstrated at Cambrai, but on a larger scale. 450 tanks supported by a surprise predicted barrage by just under 1,500 guns and 800 aircraft broke through and destroyed a German army in what was the “Black day” for the German army. Chestnut Troop, E and O Battery took part in these operations. Menin Gate 1918. 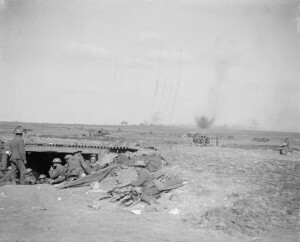 From positions on the Left of this view, B and L batteries fired the barrage behind which the infantry cleared the Germans from Ypres ay the end of the war. 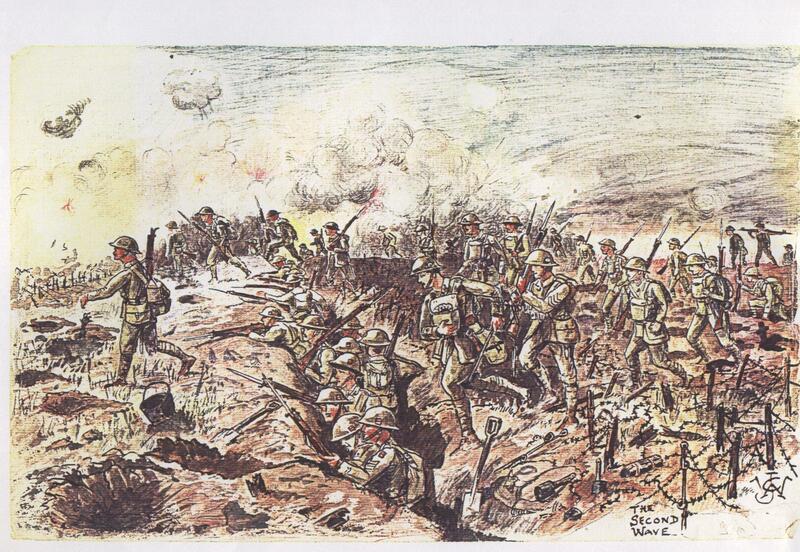 After Cambrai the 29th Division was redeployed to the Ypres sector and fought in the defensive battle of the Lys and in the counter attacks in the summer On the 27th September 1918 B & L batteries, with the other batteries of 15 Bde RHA came into action outside the Menin Gate in Ypres. 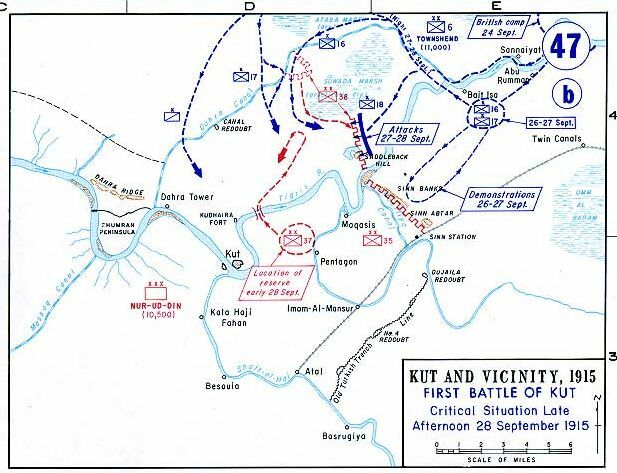 (7) The following morning they fired a creeping barrage in support of the 29th Division attack which recaptured the ground ceded in April capturing the village of Gheluveldt by the end of the day. 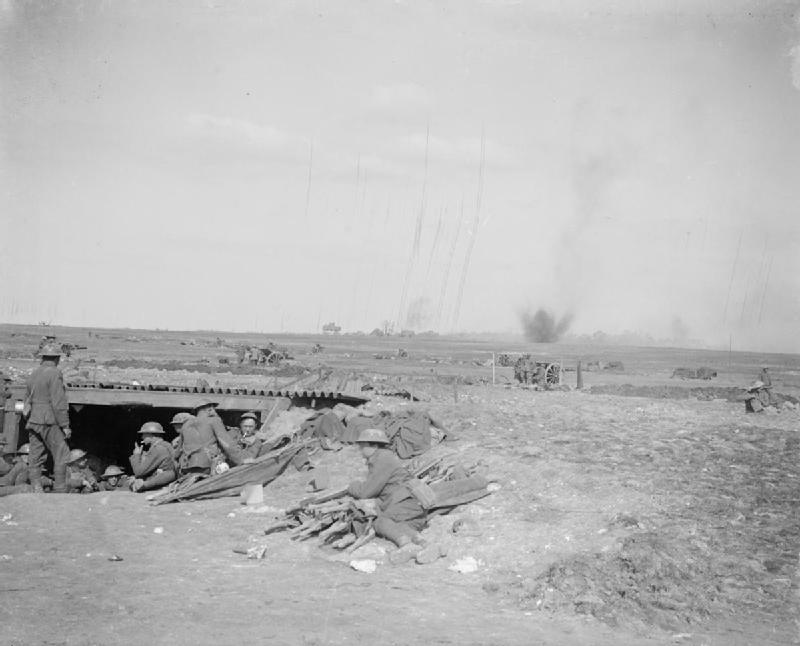 L and B Batteries were deployed forwards to Gheluveldt on the 30th September, and supported the attacks over the River Lys in October. 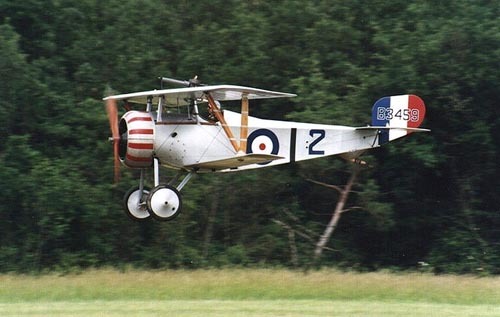 The Armistice did not mean demobilisation. The CWGC records war dead until 1921 as the regular army was deployed to respond to the messy aftermath of the War. The CWGC records the deaths of Lance Naik Batu Khan of Chestnut Troop in St. Sever Cemetery Extension, Rouen (23 Dec 1918) and Driver Noor Mohammed of B Battery in Haidar Pasha Cemetery in Turkey (30 Jan 1920), and serve as a reminder of the British Army as an Imperial force and the Regular Army’s relationship with the Indian Sub continent. 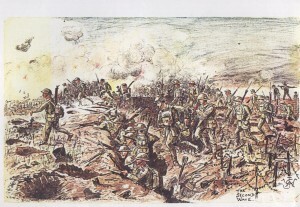 The history of 1st RHA’s batteries on the First World War is that of the Western Front, its batteries were ubiquitous, “quo fas et gloria decunt”. Their actions took place among some of the familiar land marks of the Western front. Their battles tell the story of the development of technology and tactics during the wear and the part that the Gunners. 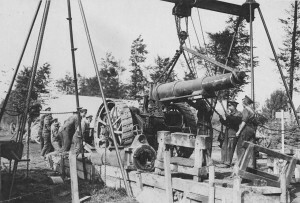 Anyone taking a professional interest in the develo-pment of artillery on the battlefield would be remiss if they restricted their interest to the 1914 battles. 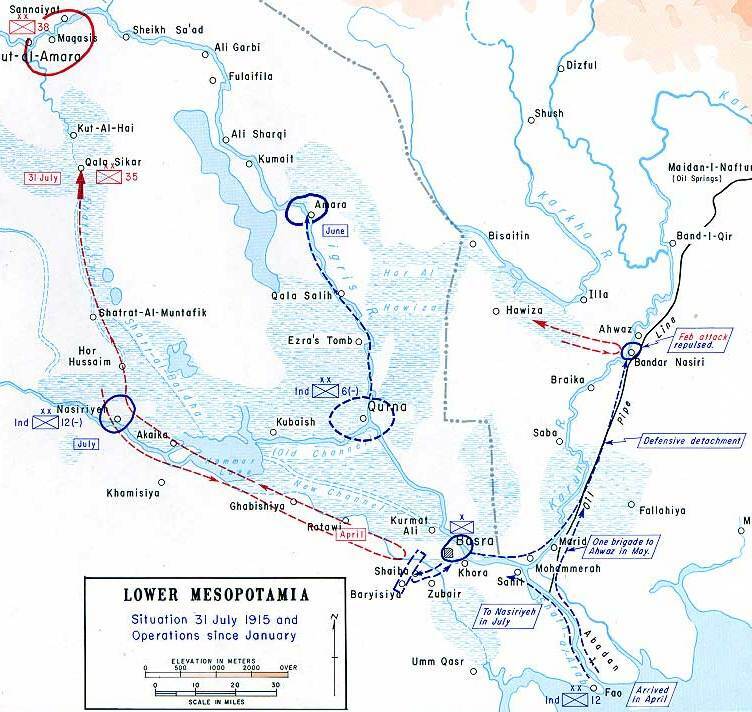 These were also actions in which at least 233 men lost their lives and perhaps 500 wounded. One of the key themes of commemoration is Remembrance, which should include understanding what these men did and why. The Centenary is an opportunity to visit the graves, memorials and the places where these men fought and fell. Of course, we celebrate the achievements of the Bradbury, Dorrell and Nelson at Nery, worthy of the highest award for gallantry that Britain can bestow. It is proper that L Battery remembers these men and the others that were lost at Nery. But the Centerary ought to be the time to find out about some of the other men who served the guns and remember them. Were the eight members of L Battery who fell on 30th November at Cambrai necessarily less brave? Were any of the men who fell any less mourned? 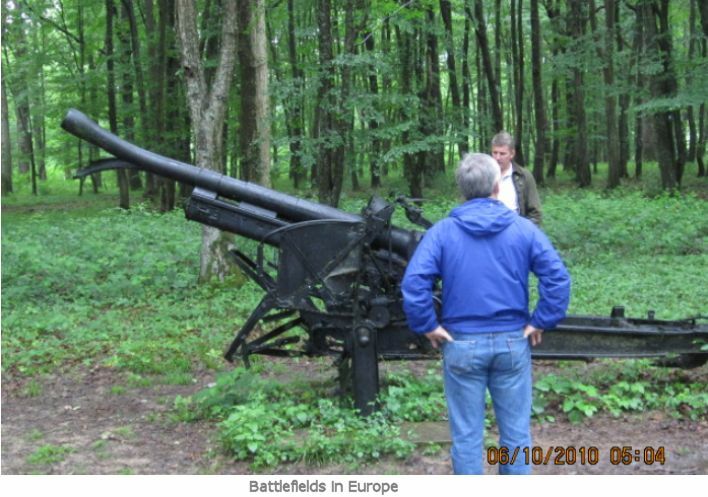 While many people are familiar with the battles and battlefields of the Western Front, far fewer have explored them from the Gunner’s point of view. 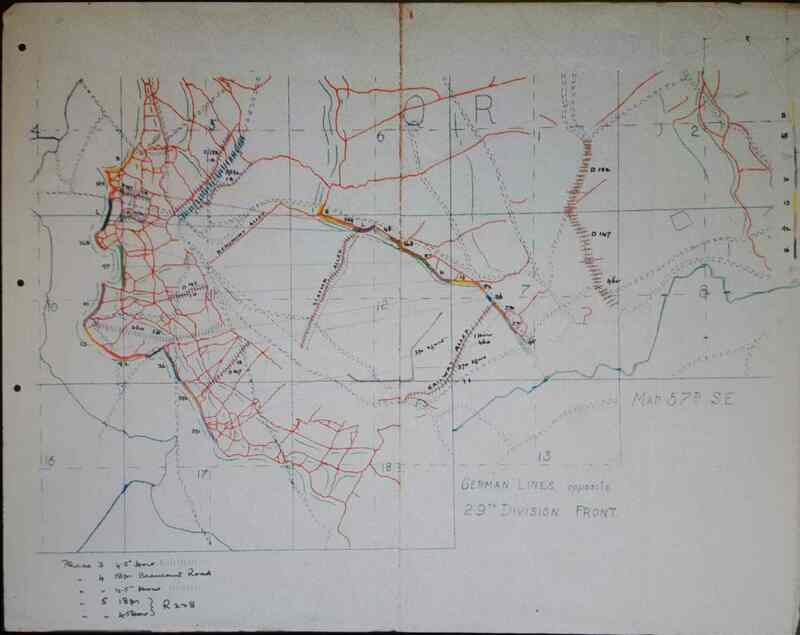 The actions by the 1 RHA batteries are ideal topics for battlefield studies, conveniently located from the UK. 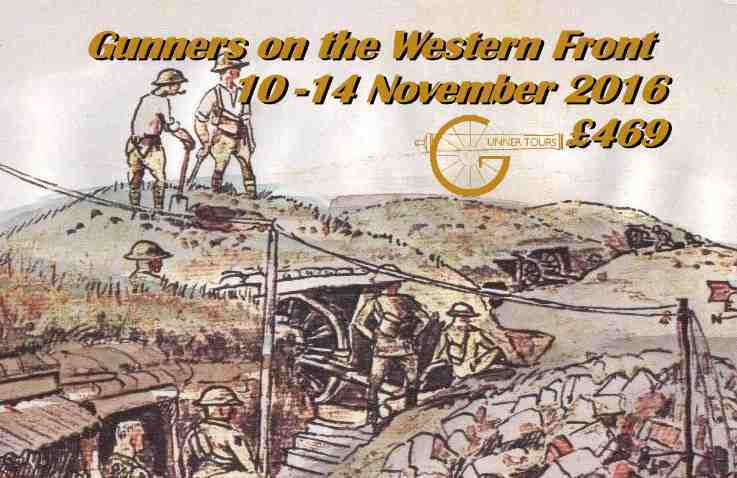 The Centenary of the First World War is an ideal opportunity to undertake low level battlefield studies. 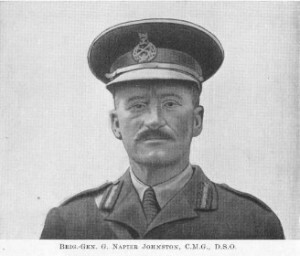 This article is based on a talk given to the Officers of the 1st Regiment Royal Horse Artillery on 8th April 2014.
 www.CWGC.org These are minimum numbers. The CWGC also lists RHA as “15 Brigade RHA,” which may include soldiers who might or might not be members of B or L Battery. They might have been members of Y Battery, the Warwickshire TA RHA Battery or the Brigade Ammunition Train. The Aisne battlefields are in some ways a forgotten corner of the Western Front. Most British visitors to the Western Front tend to focus on the battlefields of Flanders and the Somme, or hurtle across it en route to Verdun, the iconic French battle. Yet the battlefields in the Aisne, the bordering department south of the Somme Region, play a significant part in the development of the Western Front, have a special place in the story of the British Expeditionary force and are the resting place of several thousand British soldiers. 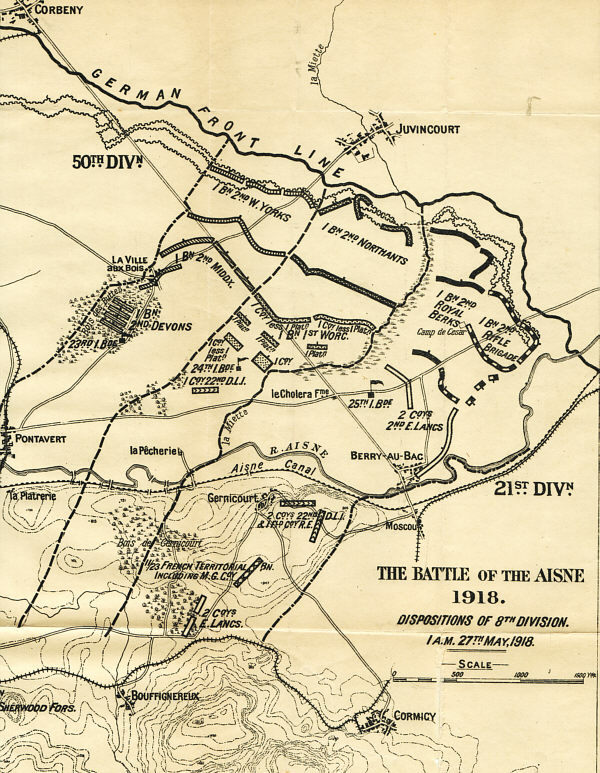 The Department of the Aisne forms an inverted triangle with St Quentin near the top left corner and the town of Château Thierry near the base. The northern half of the department is part of the Picardy plains. The southern half is much hillier and cut by the Oise, Aisne and Marne rivers flowing East to West. Battlefields tend to be determined by physical geography rather than administrative regions. Thus the department plays an significant role in several battlefields, only one of which takes its name from the department. There are geographic and commercial reasons why British battlefield tourists tend to miss out the Aisne. 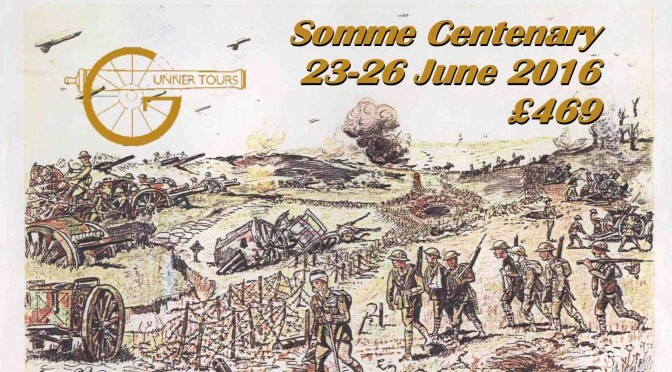 The Somme is that bit closer, and even then most British visitors focus on the battlefields around Albert, the site of the dramatic and costly first day of the Somme, and popularised in literature from Siegfried Sassoon to Sebastian Faulks. There has also been a major investment in the Somme in heritage tourism, from the development of the Thiepval interpretation centre, to the establishment of the Museum of the Great War in Peronne, and there is the well organised support for British tourists and the tourist trade. There is a risk though, that the focus on that which is easiest to visit distorts our understanding of the history and what it means. 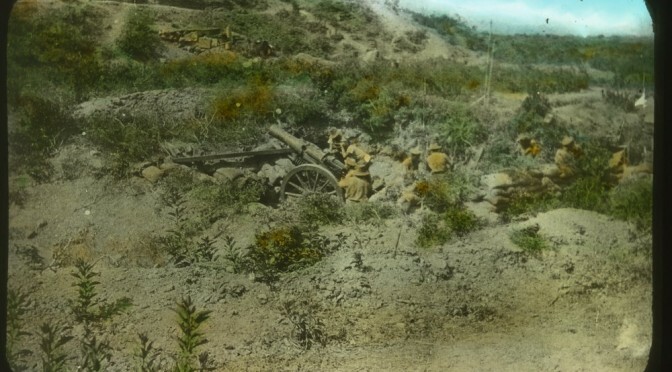 The Manchester Regiment captures a German Battery on Manchester Hill. The Northern part of the Aisne department centres on the town of St Quentin. This area tells a different story of the battles we know as the Somme. The most obvious features are the remains of the Hindenburg line, the fortified line created due to the high cost to the Germans of the battle of the Somme. We don’t often see the 1916 Somme battle as a “victory”. 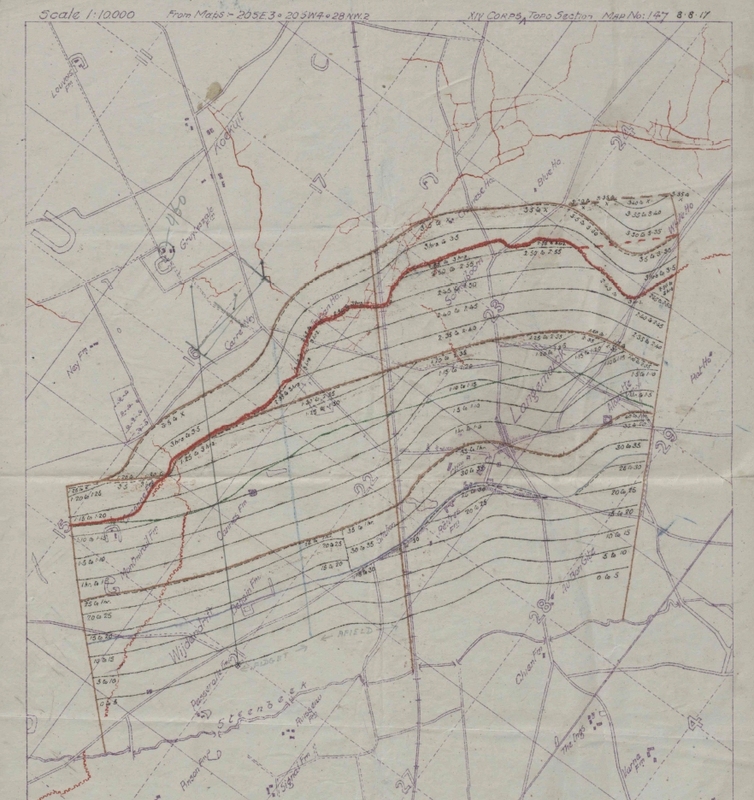 The huge investment in developing the Hindenburg line and the spiteful destruction of everything of possible value in the land they evacuated indicates that the Germans saw the Somme as a defeat. 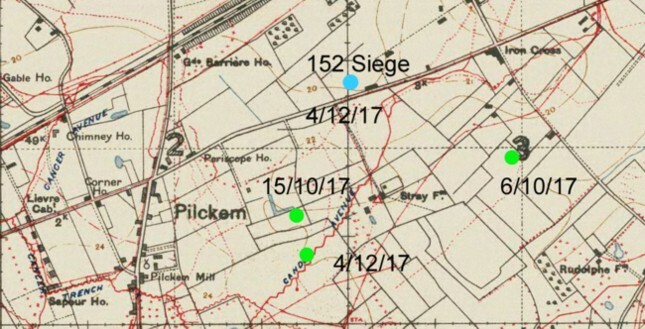 This area included the sites of actions in the advance to the Hindenburg line in March 1917. The village of Francilly-Selency includes reminders of this in the monument to the 2nd Battalion the Manchester Regiment which liberated the village in March 1917, in the action during which one of their officers, the poet Wilfred Owen, was wounded. 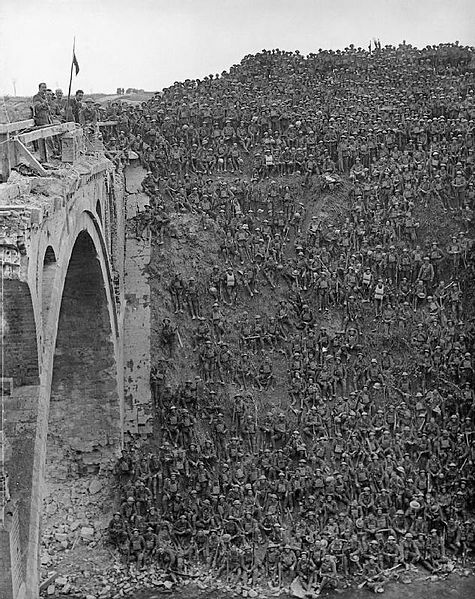 Men of the 137th Brigade, 46th Division, being addressed by Brigadier General J C Campbell VC CMG DSO on the Riqueval Bridge over the St Quentin Canal, which formed part of the German’s Hindenburg Line, broken on 29 September 1918.
awarded the Victoria Cross. 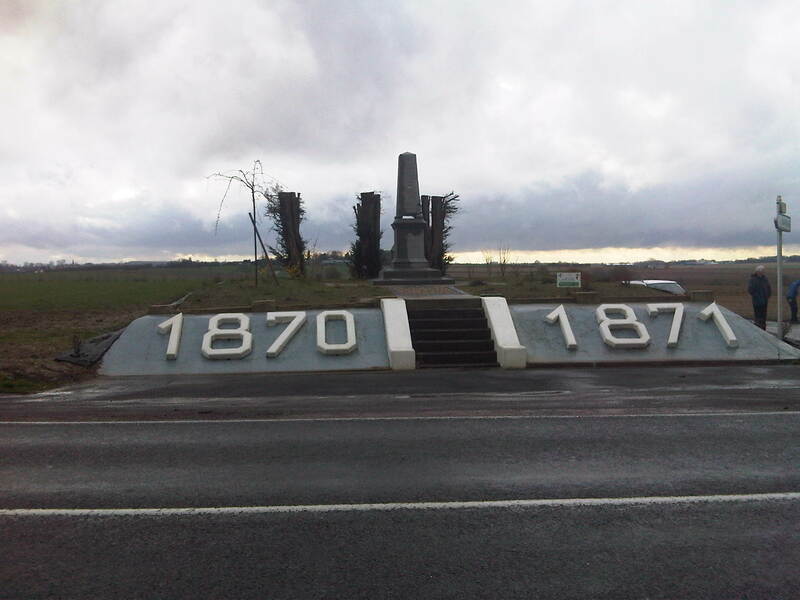 The Hindenburg Line positions north of St Quentin stormed by the British, Australian and American troops 28 September-3 October 1918, are still very visible and provide evidence of the story of the allied determination, skill and courage that overwhelmed the Germans in 1918. At this point the German defences were based on the Canal du Nord, a major obstacle protected by barbed wire and concrete bunkers. 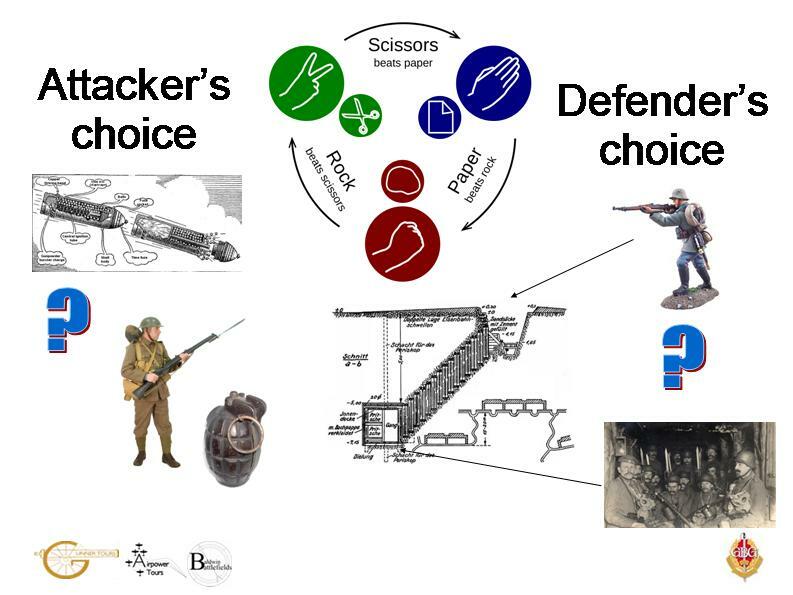 The tactical problem can be compared with the D Day landings. The bridge at Riqueval, seized by Captain Charlton and nine men can be compared to the capture of Pegasus Bridge on D Day. It is one of the most evocative places, and captured on a camera. Close to here, at Mannequin Hill, N.E. 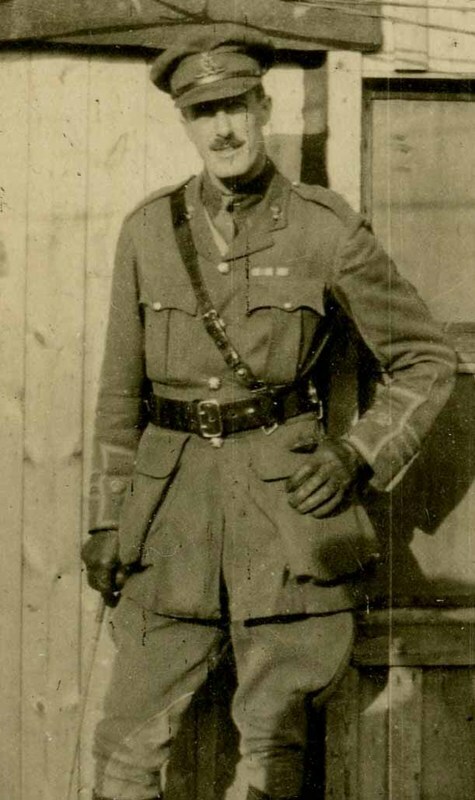 of Sequehart, Lance Corporal William Harold Coltman, of 1/6th Bn, North Staffordshire Regiment, carried out the actions for which he was awarded the Victoria Cross. 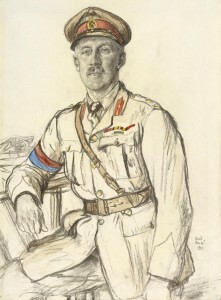 William Coltman, whose Christian beliefs would not allow him to kill another man was Britain’s most highly decorated serviceman of the First World War ( 1914-1918 ). 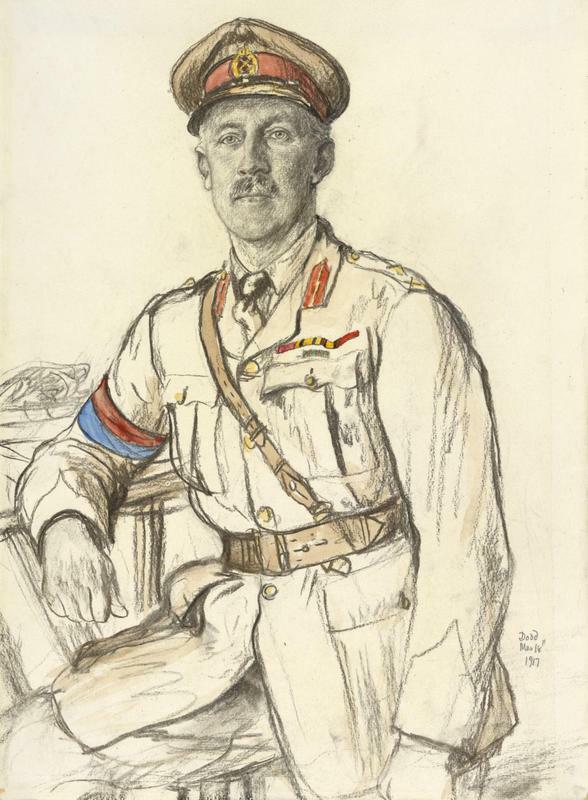 In the last two years of the war he was awarded the Victoria Cross, Distinguished Conduct Medal twice, and Military Medal twice, acting as a stretcher-bearer. 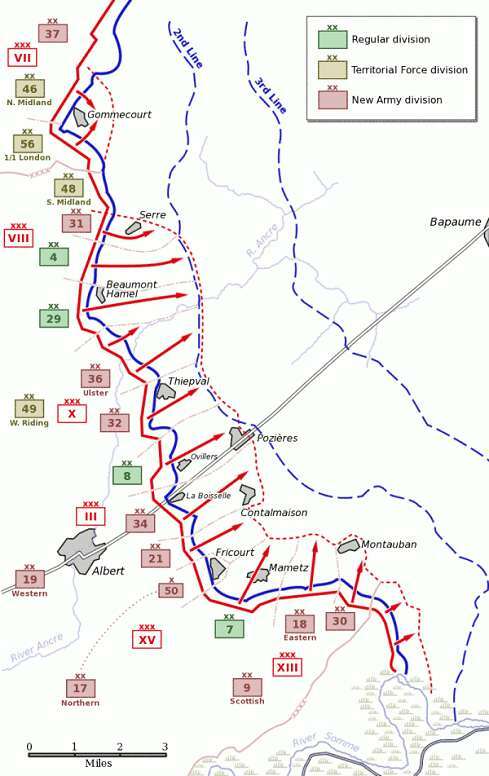 South of Laon is the area of the Aisne battlefields. 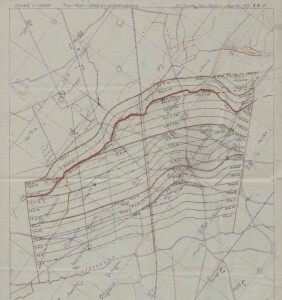 The department included the battlefield is bordered by the city of Soissons in the West and Berry au Bac in the East, and stretches as far south as the River Marne and the city of Laon in the North. The countryside is a little more alien for the British visitor. 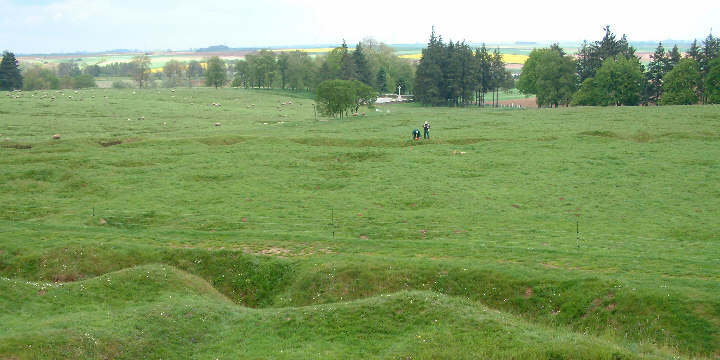 The Somme Battlefields are geologically similar to Southern England and the rolling countryside and large fields are similar to the landscape of Hampshire. 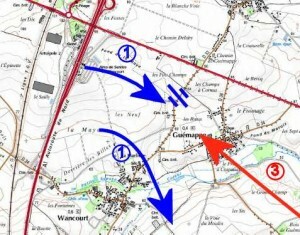 Much of the fighting centred on the high ground North of the river Aisne. 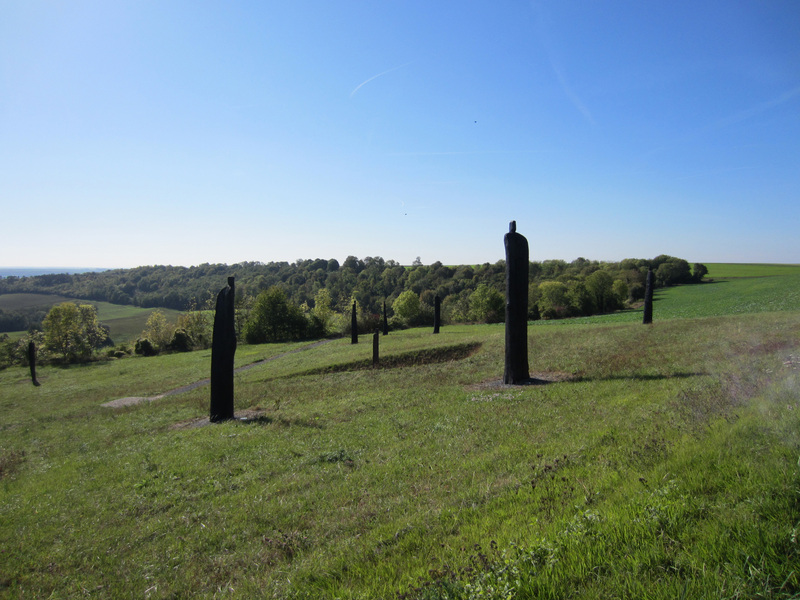 The heights are often referred to by the name of the road along the heights, the Chemin des Dames. 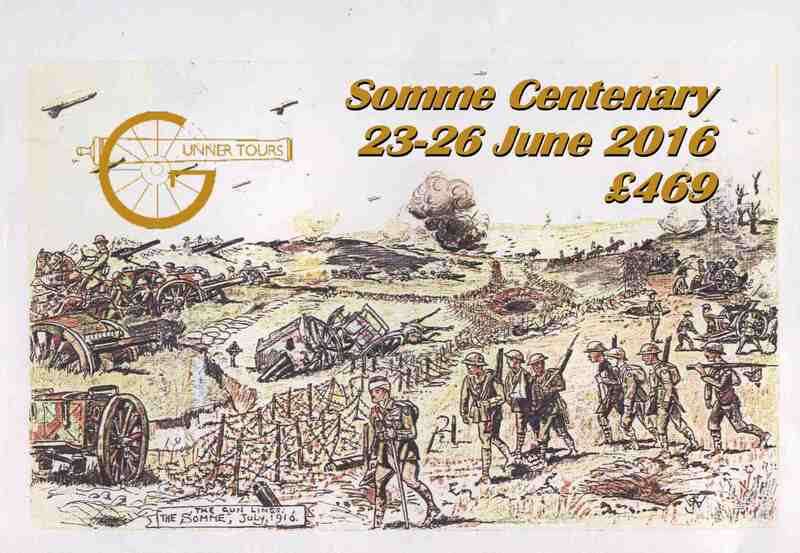 There is a lot to see in the area from the BEF experience on the Aisne. 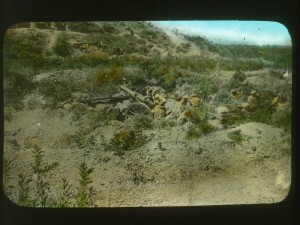 The ground itself is evocative, and much as it was in 1914. You can still see the bridging site where the Royal Engineers bridged the river next to the damaged bridge. The story of the BEF can be traced on the landscape and past the cemeteries with the reminders of the costs. 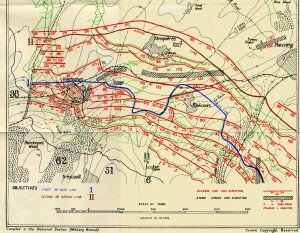 The Chemin des Dames area was the site of the disastrous Neville Offensive in May 1917. The newly appointed commander of the French Army, General Robert Neville, thought that he had discovered the secret of the offensive based on the experience of successful limited attacks on the Somme and Verdun. He massed hundreds of guns and the cream of the French army, including tens of thousands of African soldiers. 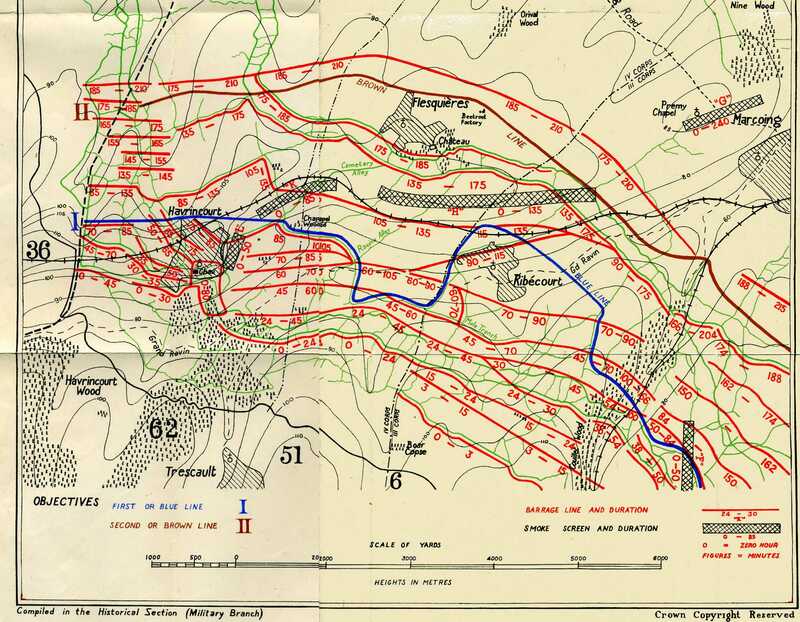 Unfortunately for Neville and the French army, the Germans had tunnelled deep into the ground, developed defences in depth and found out when and where the attack would take place. 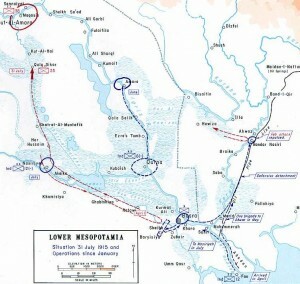 After several days bombardment the attack started under atrocious weather conditions, for May. After 135,000 casualties the French troops had had enough. There were mutinies in several regiments. They were strikes really, with soldiers protesting about ill planned attacks, poor food and no leave. 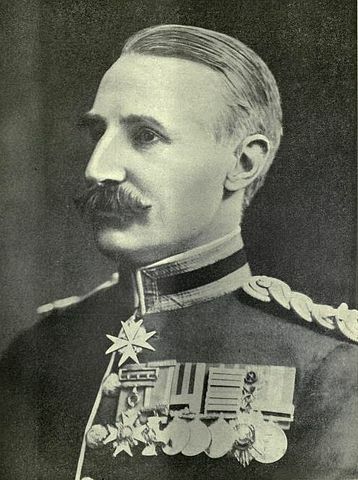 The saviour of Verdun, General Petain was appointed as Commander in chief of the army. He is credited with restoring discipline and confidence to the French Army. He did so with a mixture of carrot and stick. He instigated improvements in pay and leave arrangement, and perhaps most significantly, he cancelled further major offensives. This allowed the French army to recover its confidence in its commanders through a series of carefully planned and executed limited offensives. One of these, in November 1917 took place in the area around Fort Malmaison on the Aisne and resulted in the Germans withdrawing from the Chemin des Dames, the objective on the first day of the Neville offensive. The other implication of the French Army mutinies was that the burden of warfare on the West would have to be borne by the British until the American army could be mobilised and brought to Europe. 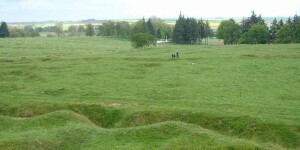 area around Verdun was deemed to be too devastated to be restored for agricultural use and designated a “Red Zone.” Although subsequently much agricultural land has been recovered, there are still tracts of the battlefield preserved as it was at the end of the First War, with the ruins of abandoned villages such as Craonne. There are also plentiful interpretive panels and panoramas relating the landscape of the battlefield. One focus for interpretation is the Cavern de Dragons, a quarry that became the scene of underground fighting. This contains an imaginative museum and guided tour. There are also some evocative memorials each of which tells something of the French army. 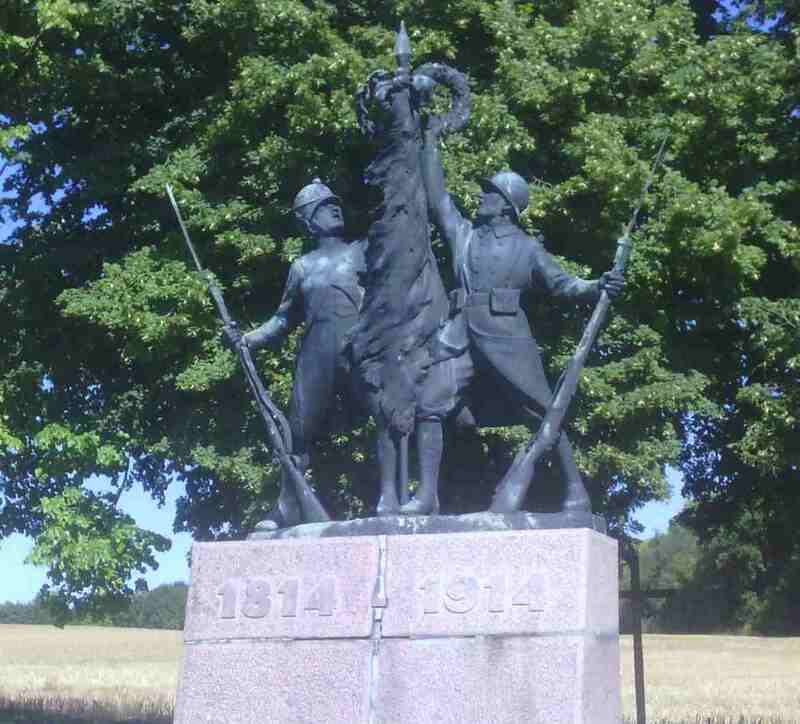 One memorial has a statue of a French soldier of 1814 alongside one of 1914; a reminder that this was also the site of one of Napoleon;’s last victories. A group of elegant dark statues represents the spirits of the African soldiers who suffered so heavily in 1917. There is also a memorial to the first use of tanks by the French Army at Berry au Bac. 5 Gibraltar Battery still wear the ribbon of the Croix de Guerre on their berets. The hilltop village of Coucey has a particularly fine ruined château and the remains of town walls. But it’s ruin is a story of the First World War. Before 1914 the château of Coucey was the largest in France and a major tourist destination. But in 1917 it lay in the zone that the Germans were planning to abandon and was destroyed in what in retrospect seems spiteful vandalism. On the outskirts of Coucey is a different sort of structure. In the forest is a concrete emplacement for a giant gun used by the Germans for shelling Compiegne 20 km away. On two occasions in the First World War the Germans nearly reached Paris. It was the high point of the German advances in 1914 and in 1918. 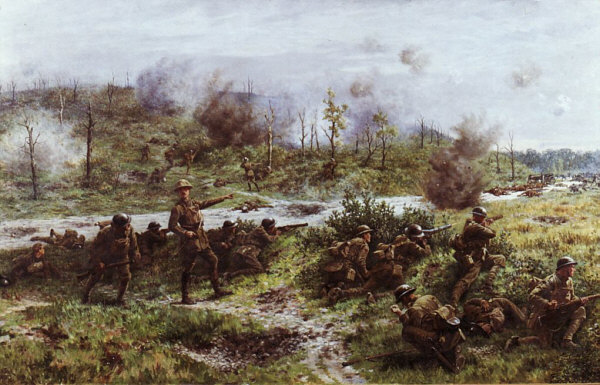 The battles which saw the repulse of these attacks are both known as the Battle of the Marne. 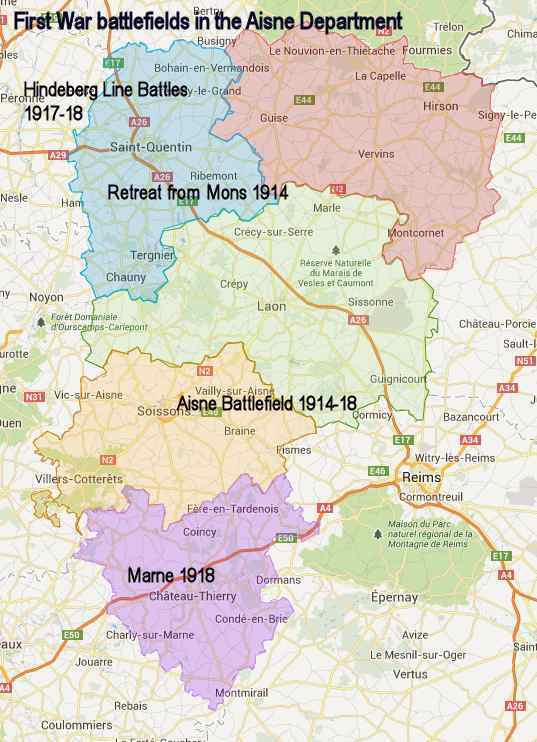 The turning point was the deployment of American troops on the Marne in June and July 1918. The Americans played a big part in halting the Germans on the Marne at Château Thierry, which is home to the impressive US Châteaux Thierry monument. Not far away is Belleu wood, which is where the US marines attacked in 1918. This battlefield has been preserved and it and the neighbouring US American Battle Monuments Commission Cemetery and the German cemetery are reminders of the part America played in the First World War. Walter Tull was a man who is famous for being the first black outfield footballer to play in the Football league and for overcoming the barriers of race and class to be commissioned as an officer in the Infantry in the British Army in the Great War. In recent decades he has been championed as a historic hero and a role model for young black Britons. Philip Vassili has championed his memory, written a biography and a play and led a call for him to be awarded a posthumous Military Cross. I first spoke to Philip Vassili in 2007 when I was researching Walter Tull for a­ visit to the battlefields of the Western Front by Henry Compton School, Fulham. This school had won funding from the TV show “Fortune: Million Pound Giveaway” to visit the Battlefields of the Great War. Duncan Bannatyne had said that these students would get nothing from a visit to the battlefields, but the deciding support was from Lord Archer. And here is a video made by the boys themselves. The video originally had an audio soundtrack – but its been disabled for copyright reasons. Bishop Henry Compton School in Fulham was a school for boys aged 11-16. It was founded as a board school in the last quarter of the nineteenth century. The then Head of History Dan Lyndon showed me the records from the Great War. In the early years of the 20th Century the school educated boys to start their working lives in crafts and trades. Dan told me that he wanted to follow the stories of the ex pupils and teachers from their school. (One of the school’s alumni was awarded a VC for his actions in Burma in 1944, but that is another story). Dan also wanted to follow the story of Walter Tull, who the boys studied in Black British Month, as a focus for the key stage 3 topics on trench warfare. Henry Compton School was a school that white middle class parents would spend tens of thousands in school fees or hundreds of thousands on a house to avoid. 30 different languages were spoken by the students attending the school, which had no sixth form. Many of the boys were refugees from across the zones of modern conflict, including four Afghans, a Palestinian and a Libyan. The boys were not angels. One came with a personal minder. However, this was not a failing school. The staff were very impressive. The teachers were committed and passionate about their subjects and students. Mr Ranji the Headmaster came on the tour and had a way of saying something very quietly that turned some boisterous or stroppy teenager into docility itself – a kind of “thug whisperer”. The personal stories of some of the boys made an impression on me. The mother of one the Afghan boys clearly hadn’t understood what the trip offered and dispatched her son with a four day supply of kebabs and rice. I asked another whether his family were planning to go back to Afghanistan. The boy told me that his uncle had been and said that all was there was the trace of the house in the dust. When one boy asked me why the big hole in the ground was called a mine because where he was from mines are things you mustn’t stand on. I had to turn away for a minute. It brought it home to me how fortunate I am as a British parent that whatever dangers my children face growing up in London, anti-personnel mines aren’t one of them. We visited the Western front to look at the soldiers’ experience of the war. We visited museums and trenches, did a bit of re-enactment. 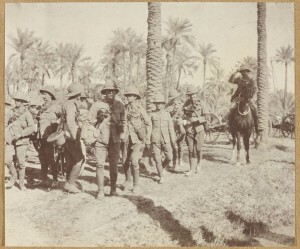 The school played along and organised themselves as sections of “the Fulham pals” platoon. We played a bit of military discipline with sections competing to be the first “On parade” We made some local connections to Fulham. 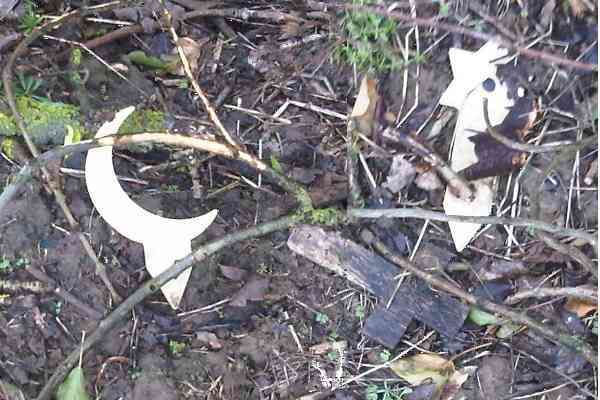 We found the graves of a student and a teacher who were on the school’s roll of honour. We visited Hill 60 where a Fulham boy, Edward Dwyer, born a few streets from the school, had carried out the deeds for which he was awarded the Victoria Cross. 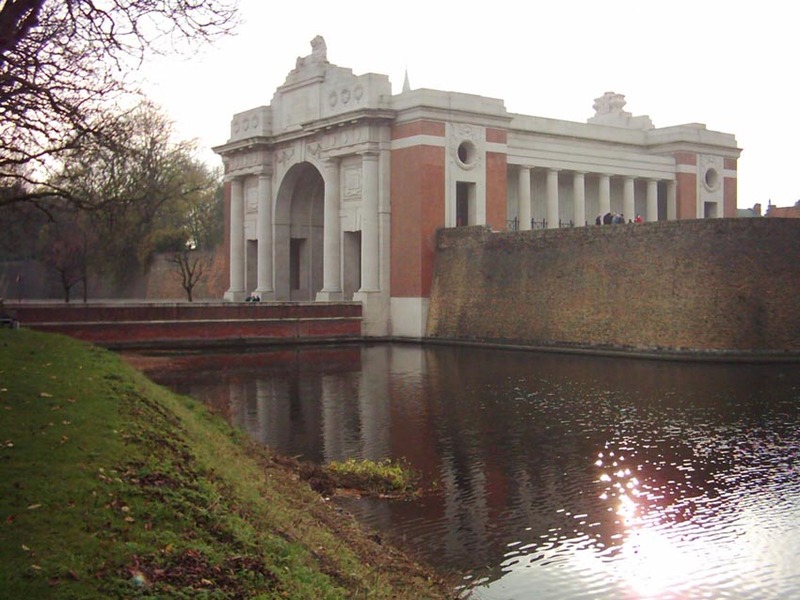 The one question that everyone wanted to know the answer to was “What did people like me do in the First World War?” The Menin Gate supplied a lot of answers with the names of soldiers from all over the Indian subcontinent and the West Indies. The Indian army memorial to the missing, the Portuguese cemetery at Neuve Chapelle and Russian graves in Arras supplied other links. Some boys made a bee line for the computer terminals at the Thiepval memorial to search for their own names on the Commonwealth War Graves Database. 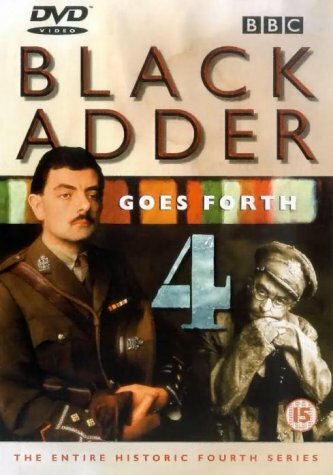 The Libyan boy proudly showed me the record that revealed that someone of his name had died serving Britain in the Libyan Frontier force in 1941. Was this tokenism? 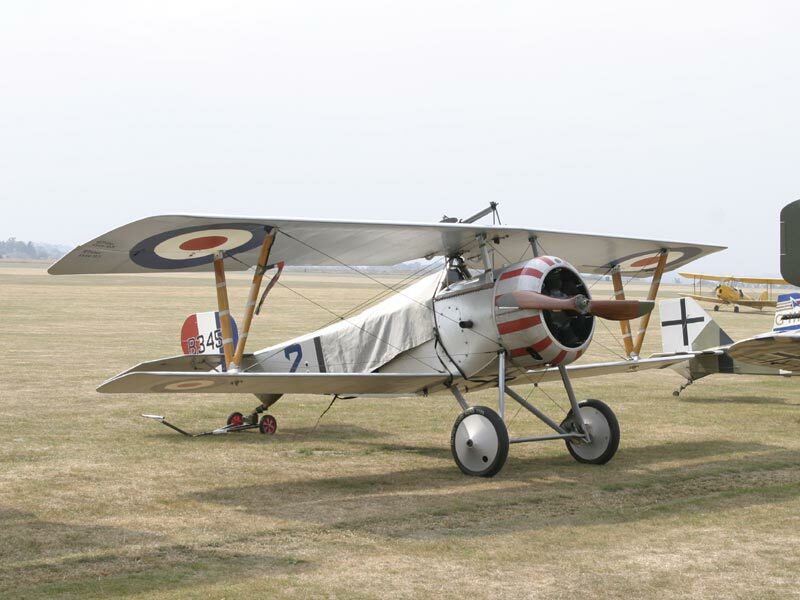 It was obvious that these were only tiny exceptional examples among the massed ranks of the Great War dead. No one can pretend that Britain of the Great War was as diverse as it is now, but there is a big psychological difference between “someone like me” and “no one like me”. The boys were fascinated by Walter Tull. They had learned about him in lessons. As a footballer and soldier he was a hero and they obviously identified with him and his story. We visited the memorial to the Missing at Arras, and found Walter Tull’s name. They held a minute’s silence and one of the boys read the details of the CWGC reference. We also found the area where he was killed in March 1918. The Regimental History mentioned that his unit was sited around the monument to the 1870 battle. Students from Bishop Henry Compton School prepare for an Act of Remembrance close to the spot where Walter Tull fell on 25th March 1918. Note Headmaster in Foreground and the “Platoon Sergeant” in the background distributing crosses, stars of David and crescents. Did they get much from the tour? They were certainly engaged and asked some very lively questions of me and local guides and speakers. Some of the discussion put me as the guide on the spot. I vividly recall being asked about whether the Germans were anti-semitic in the Great War and the part that the Great War played in the rise of Hitler and the Nazis. One of the major benefits was in terms of citizenship objectives. Taking part in an trip to a foreign country behaving yourself in restaurants and hotels is all part of being a good citizen. These boys were good ambassadors of their school and created a positive impression with the people they met. 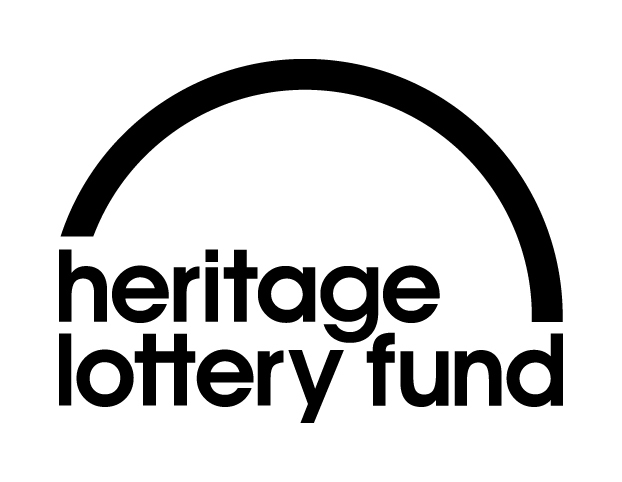 Individual identity is an issue, and one of the objectives was to explore the story of Londoners in the Great War. At the end of the Tour the answer to the question “are you proud to be Londoners” was answered with a massive roar. Had this been 1914 this generation of “Fulham Pals” would have done their bit. These boys didn’t ask to be brought up in London, yet must live in a society where at least some people are asking the question “what is your right to be here?” The answer “Because someone like me died for this country” is a powerful argument, and one that these boys had witnessed. These boys will now be in their twenties. Many of them are young black or Moslem men, two groups that are perceived as being most at risk of falling under the influence of criminal subculture or of Islamic extremism. The story of Walter Tull matters because he is a symbol and a role model that shows it is possible to succeed and cross the barriers of race and background. You can see the boys and their tour for yourself. Only the first part of this video is available on Youtube. The film was shot by the boys themselves and edited by Dan Lyndon. The second half which included the visit to the site of his last action and the Arras memorial isn’t available publicly. 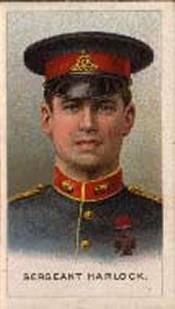 During the First World War Tull served in both Footballers’ Battalions of the Middlesex Regiment, 17th and 23rd, rising to the rank of sergeant and fighting in the Battle of the Somme in 1916. 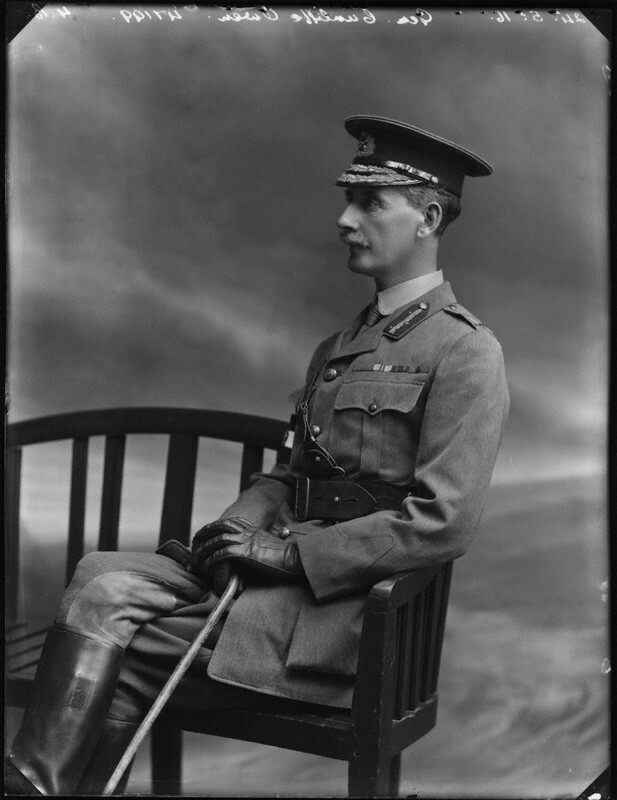 When Tull was commissioned as Second Lieutenant on 30 May 1917 (still in the Middlesex Regiment),he became the first black/mixed race combat officer in the British Army, despite the 1914 Manual of Military Law specifically excluding Negroes/Mulattos from exercising actual command as officers. He fought in six major battles: Battle of Ancre, November 1916 (first Battle of the Somme); Battle of Messines, June 1917; 3rd Battle of Ypres, July–August 1917 (Passchendaele, Menin Road Bridge); September 1917; Second Battle of the Somme, St.Quentin, March 1918; Battle of Bapaume, March 1918 (2nd Somme). 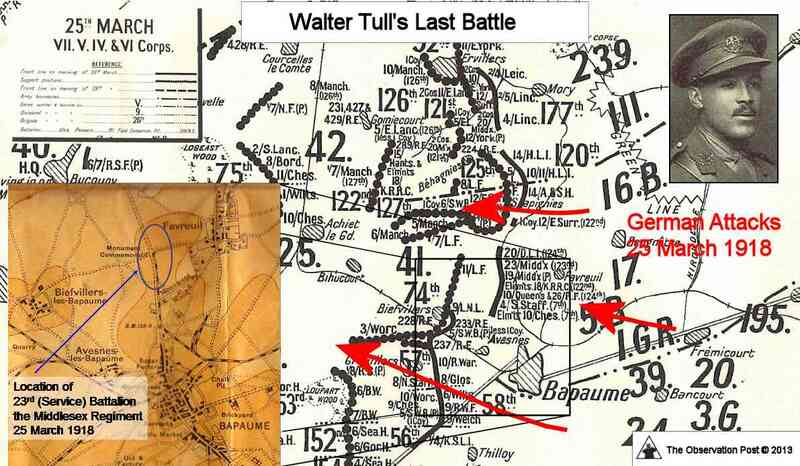 Walter Tull is remembered at the Arras Memorial, Bay 7, for those who have no known grave. Another interesting fact about Walter Tull is that his brother also triumphed over barriers of class, birth and race. The two brothers were separated on the death of their father. Their mother died, and the father remarried. On his death the step-mother put both boys into orphanages. Walter ended up in the East End of London, Edward in Glasgow. Walter became England’s first professional outfield footballer while Edward became Glasgow’s first black dentist. Its remarkable that both brothers joined the officers mess/professional classes having a background in an orphanage, without any consideration of race. The Tull boys’ success says much about them and for the care offered by the orphanages which brought them up. That is the story which has been missed. The campaign for him to be awarded a posthumous Military Cross is misguided and misplaced. Walter Tull was an admirable man and is deservedly a role model. He was a victim – but principally of violent death at the hands of the Kaisers Army. Portraying him as the victim of racism because he did not get a gallantry award is a slur on his parent Regiment. The Middlesex Regiment deserve credit for making an exception to the discrimination institutionalised in Kings Regulations and commissioning him. It would be a mistake to retrospectively honour Walter Tull because of his race. .Walter Tull is far better known than any of the 37,000 officers awarded the Military Cross during the Great War. How many people can name any MC holders? There was no bar to non European officers or soldiers from receiving awards, such as the DFC awarded to Lieutenant Indra Lal Roy, the Indian air ace or the VC to Mir Dast, the Indian Army Officer. Walter Tull was one of the countless brave men who were not awarded a medal for bravery. It is far better, in our celebrity obsessed times, to use Tull’s story as a reminder that the awards systems are imperfect. The exhortation is to Remember them – all and unreservedly . 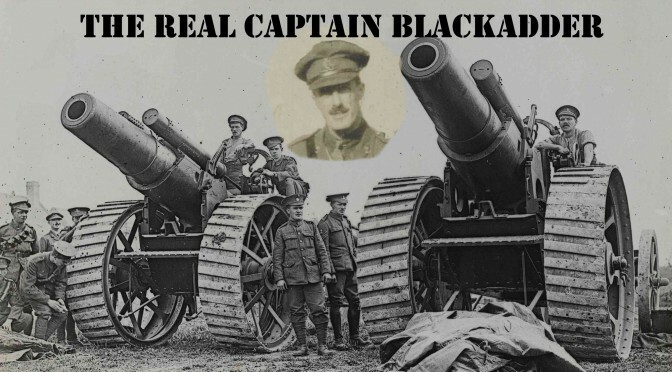 There are other more notable victims of racism from the Great War than Walter Tull. The Chinese and South African labourers, recruited on contractual terms which bordered on slavery. 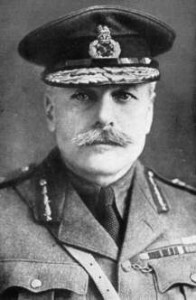 The non-European students in England denied the opportunity to serve as British officers are more deserving of sympathy. These include Fijian hero Ratu Sir Lala Sukuna Rahave, wounded while serving in the French Foreign Legion and Lt Hardutt Singh Malik, initially refused a commission in the Royal Flying Corps. The campaigners should also consider some other aspects of the Walter Tull story. Walter Tull lived at a time when only a small proportion of the population could vote, and before there was much of a welfare state. What proportion of the alumni from Britain’s modern care system currently join the officers mess, university or the professions? A second issue arises from the comparison between the Board school that stood in Kingwood Road, Fulham and the schools on that site now. The Board school was geared towards a technical education that would send its alumni into craft and mechanical jobs in the working world. To what extent have the changes of the last decade done anything to help the boys who do not expect to go to university? Or has the drive for parental choice through Academies and Free Schools make it easier to ignore them?